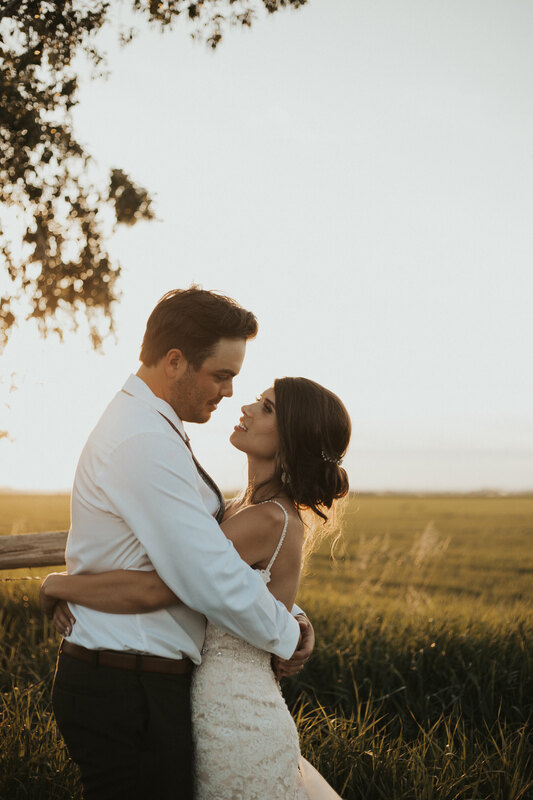 I met Mason + Olivia last October in the Alberta Badlands to capture their engagement photos. 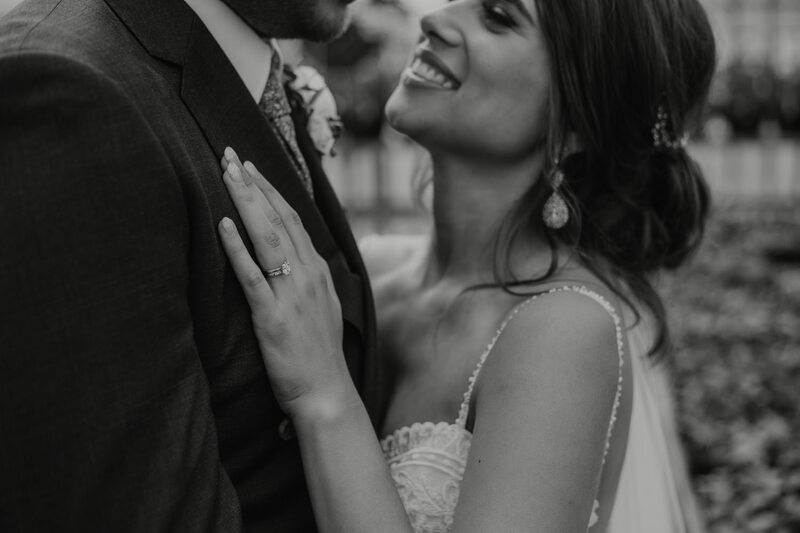 I immediately noticed their admiration and love for each other. 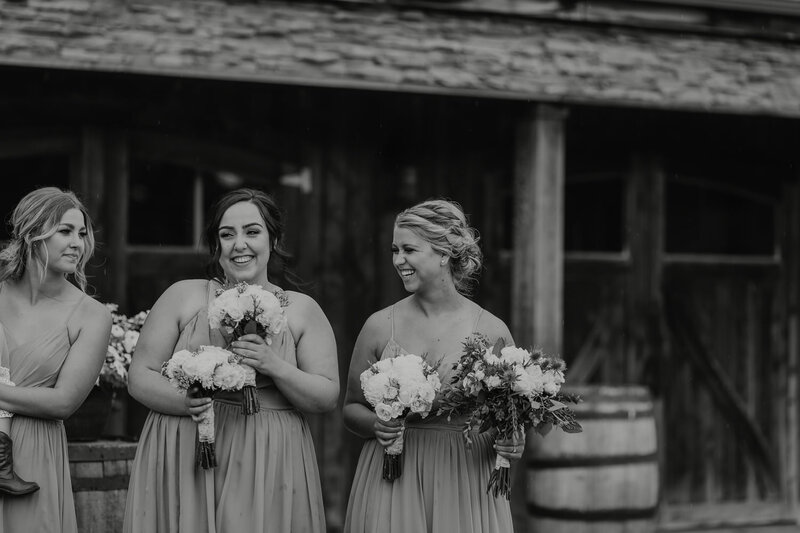 They pretty much giggled non stop throughout their session, which I loved. 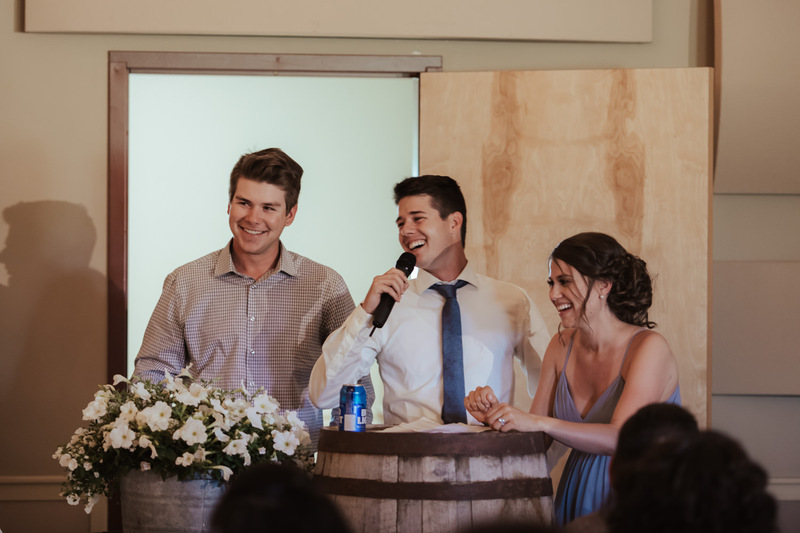 After that I knew their wedding was going to be a blast. 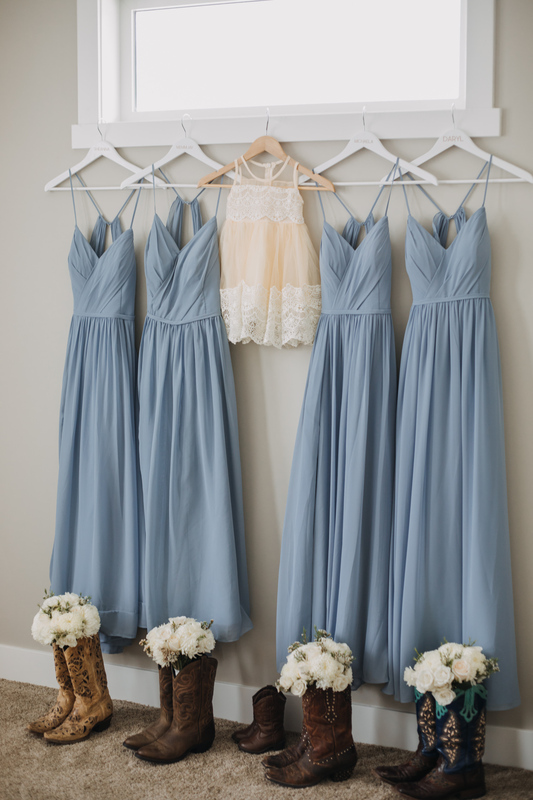 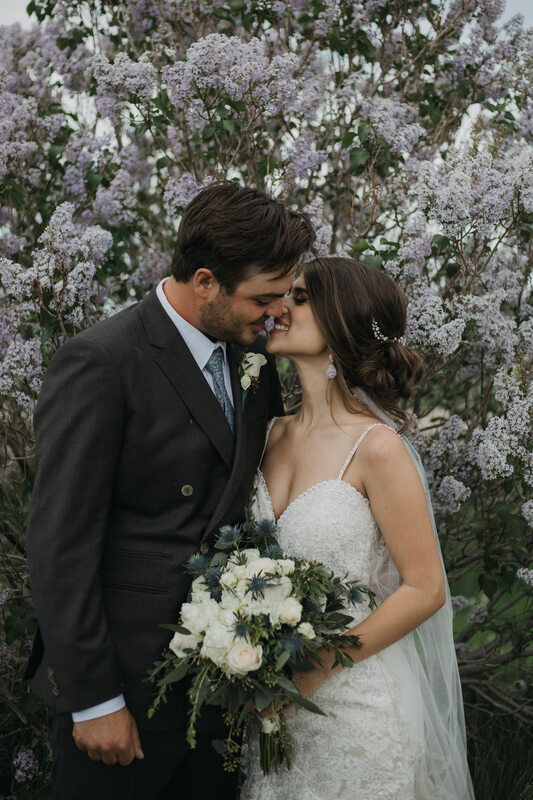 Their wedding was everything that a wedding should be. 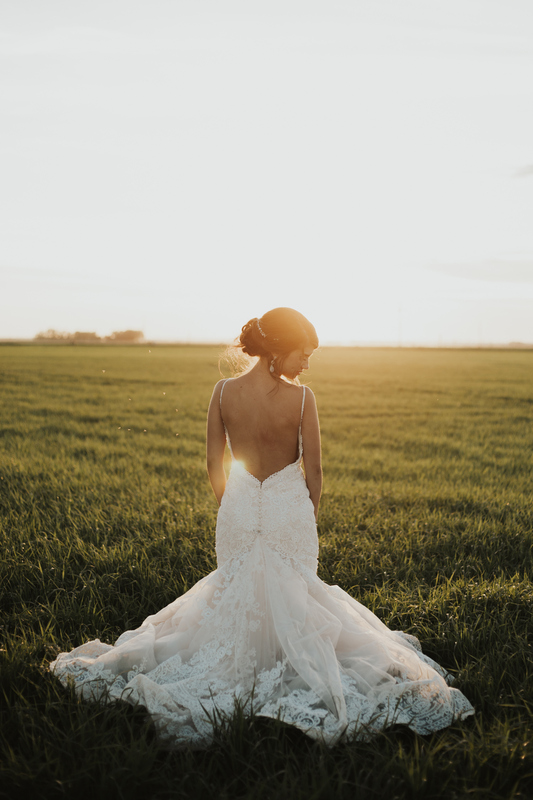 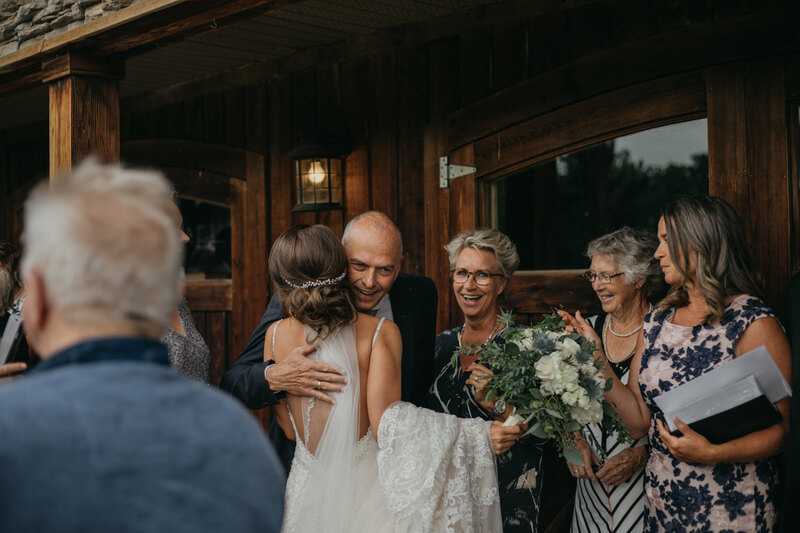 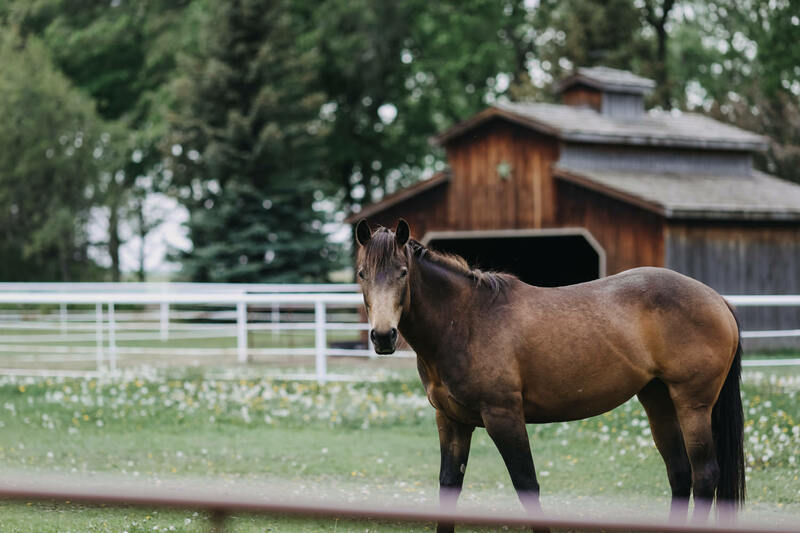 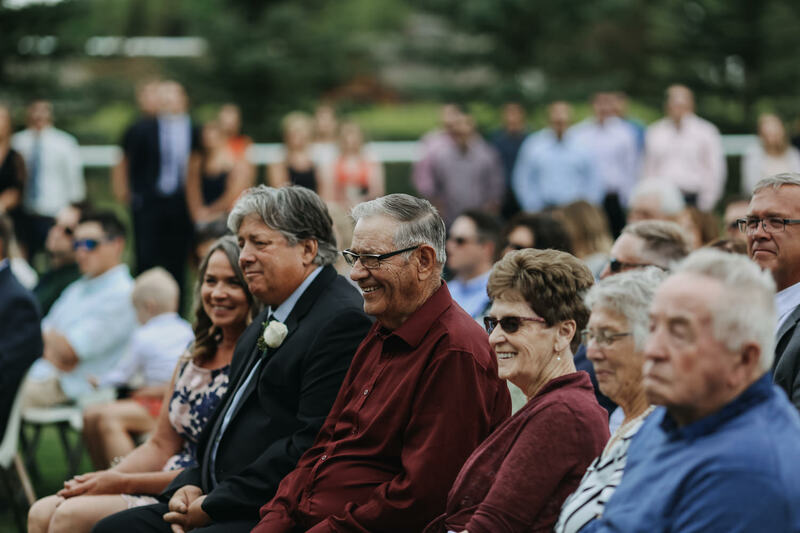 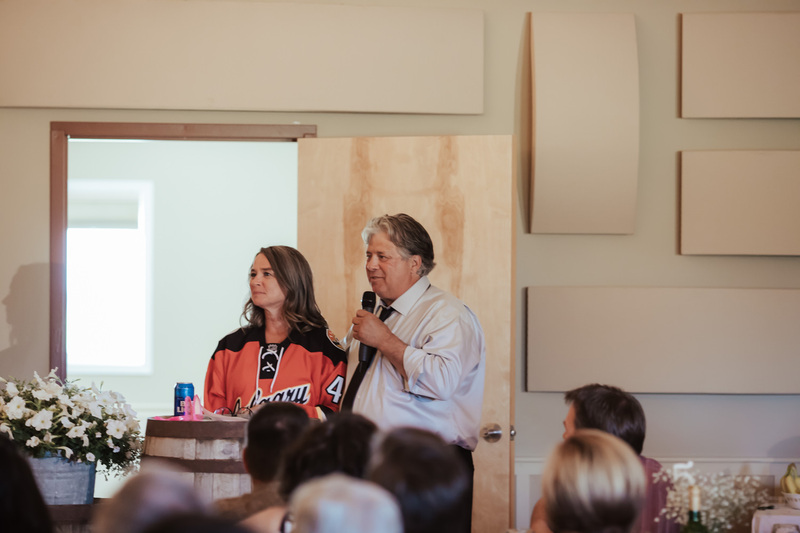 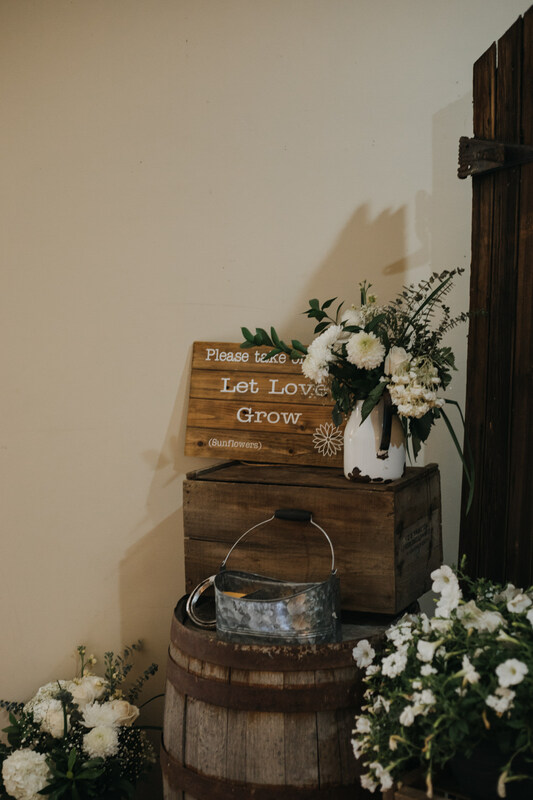 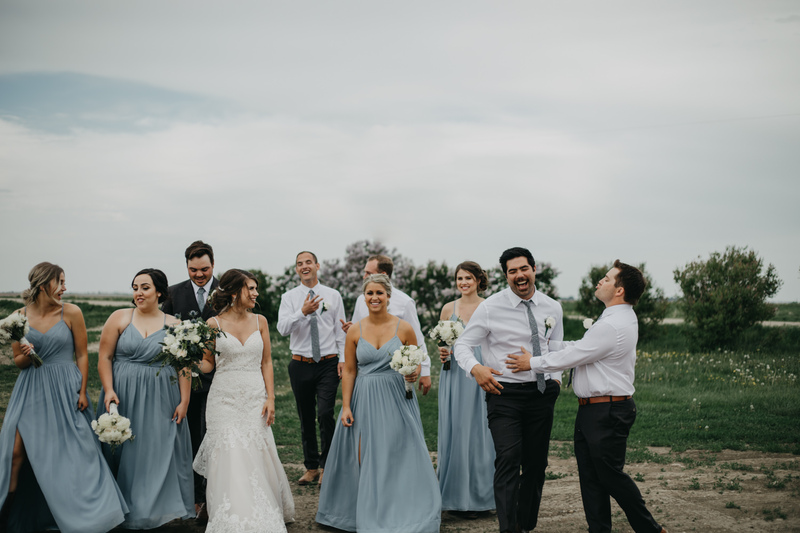 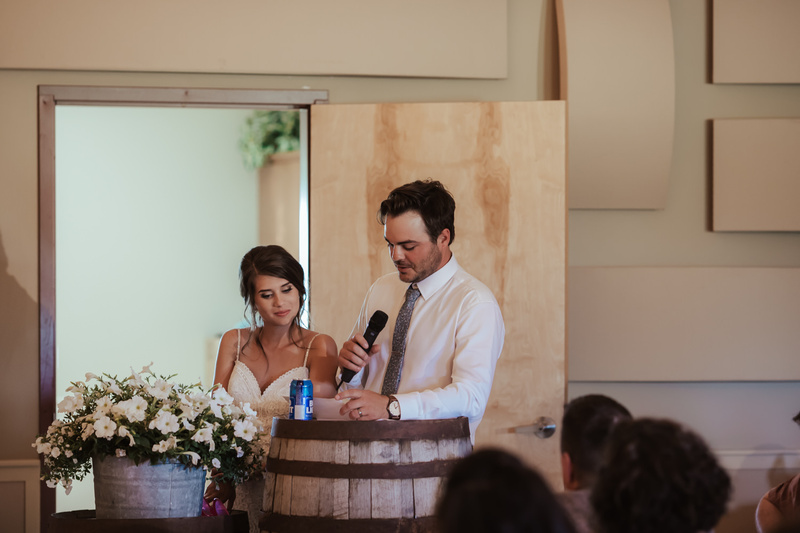 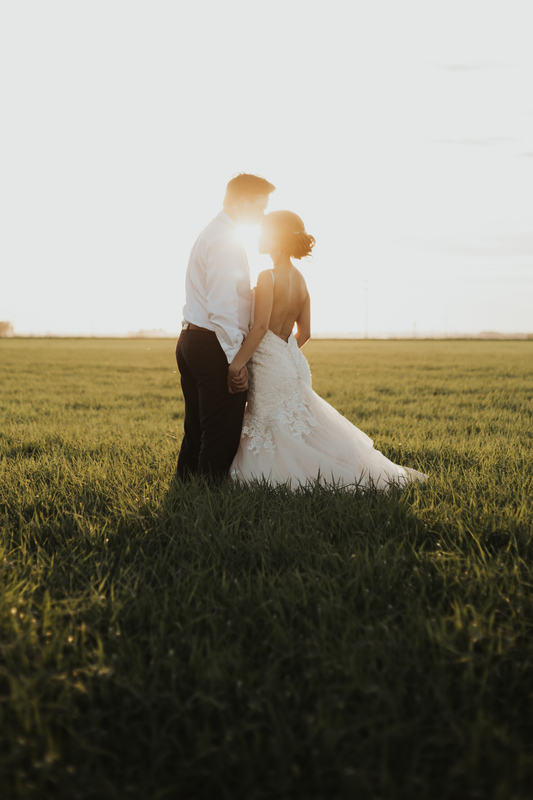 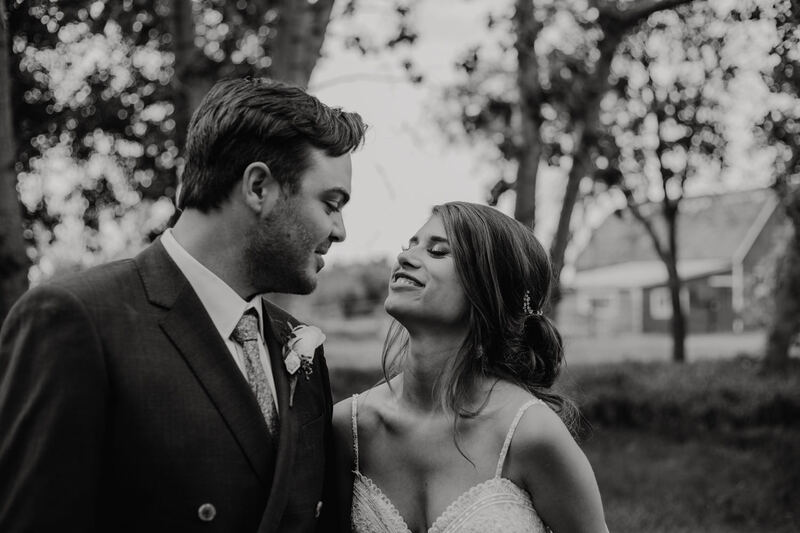 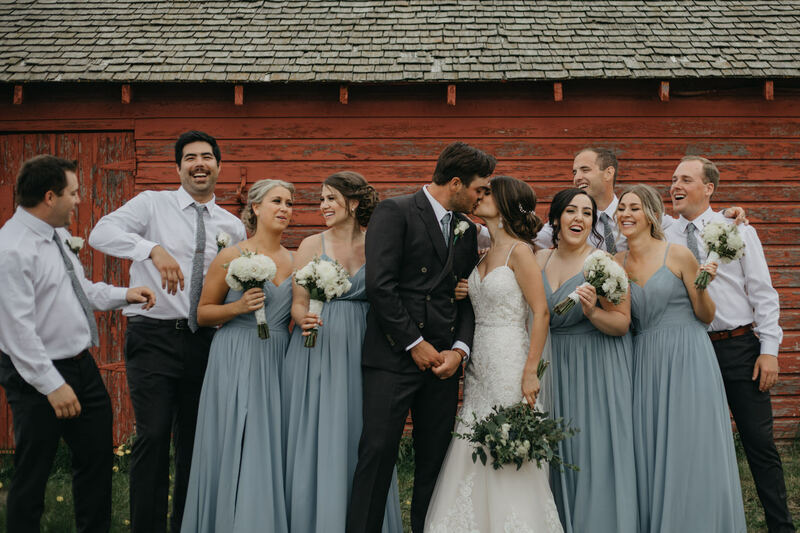 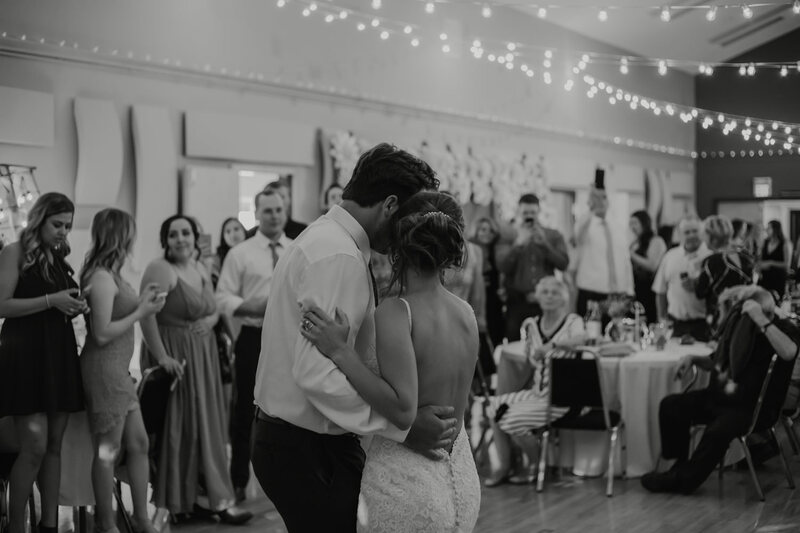 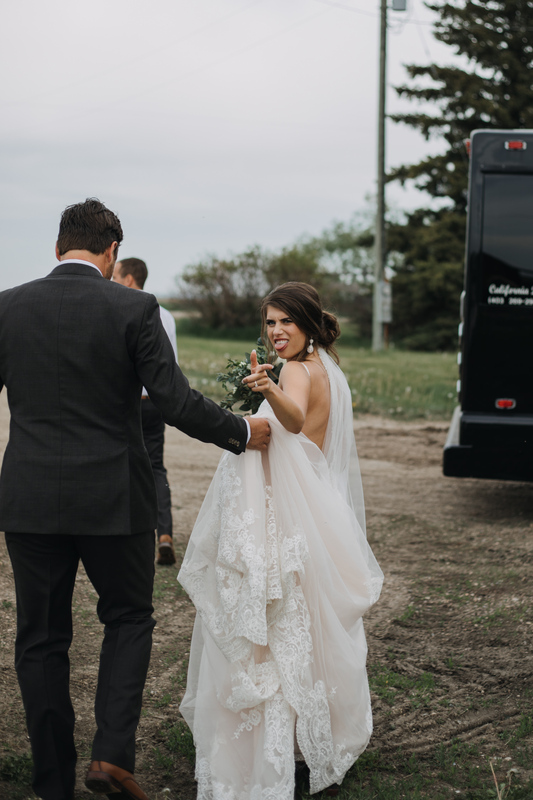 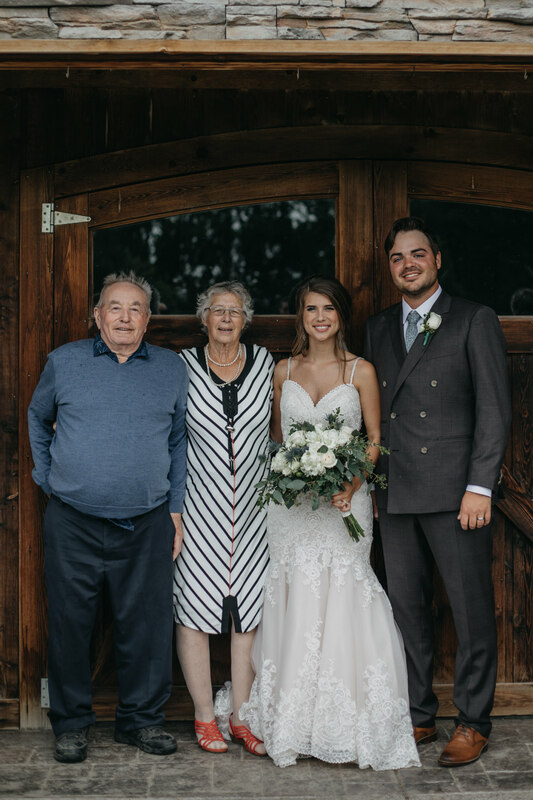 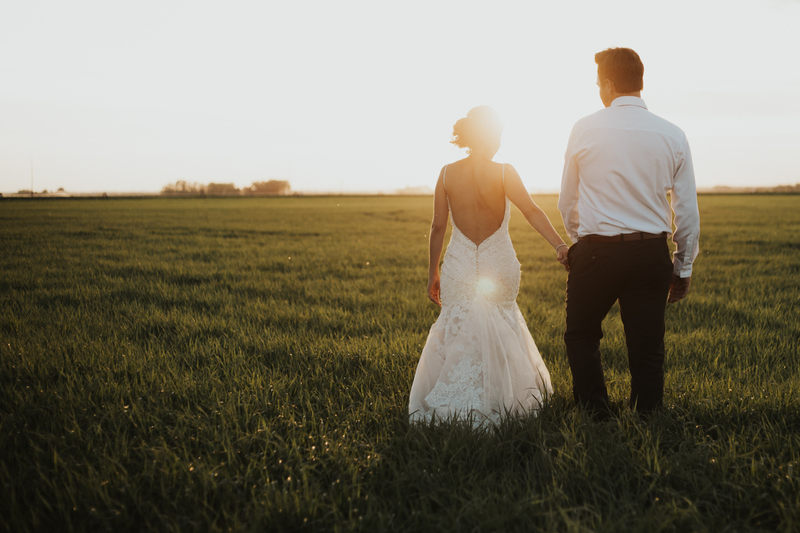 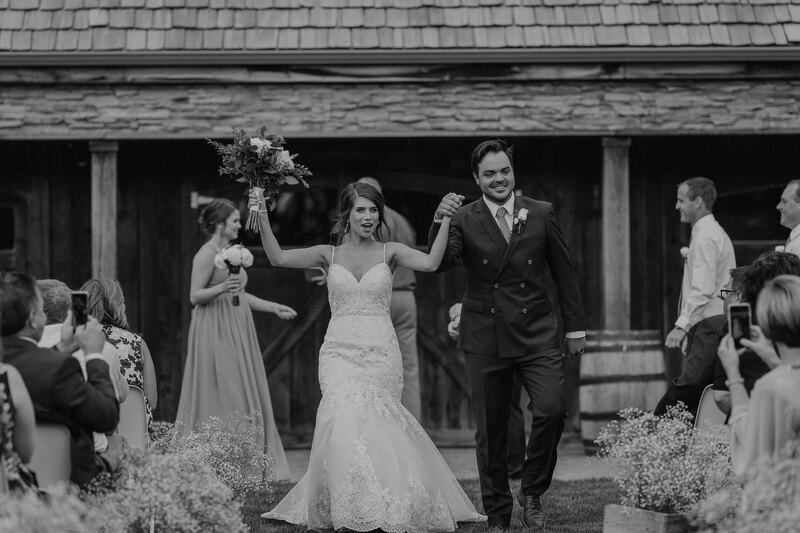 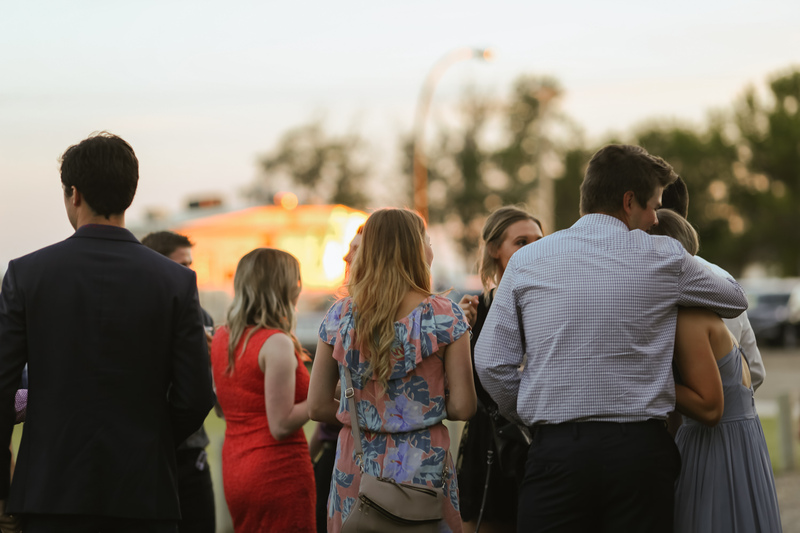 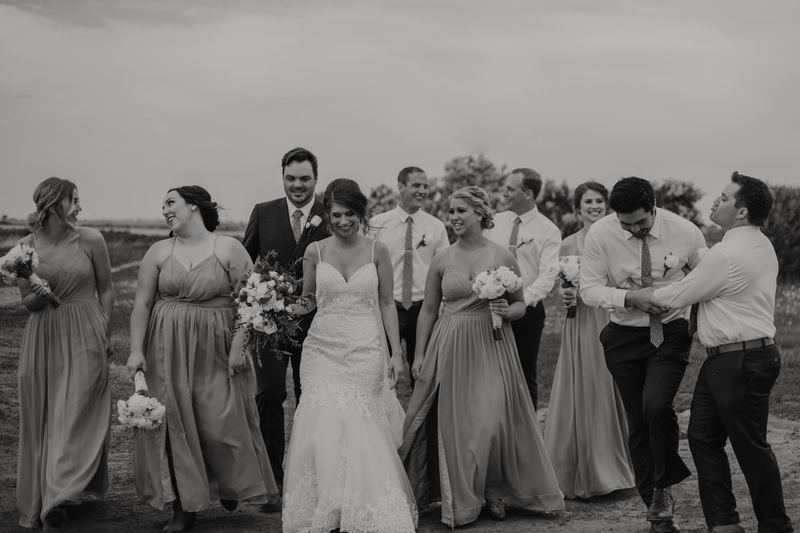 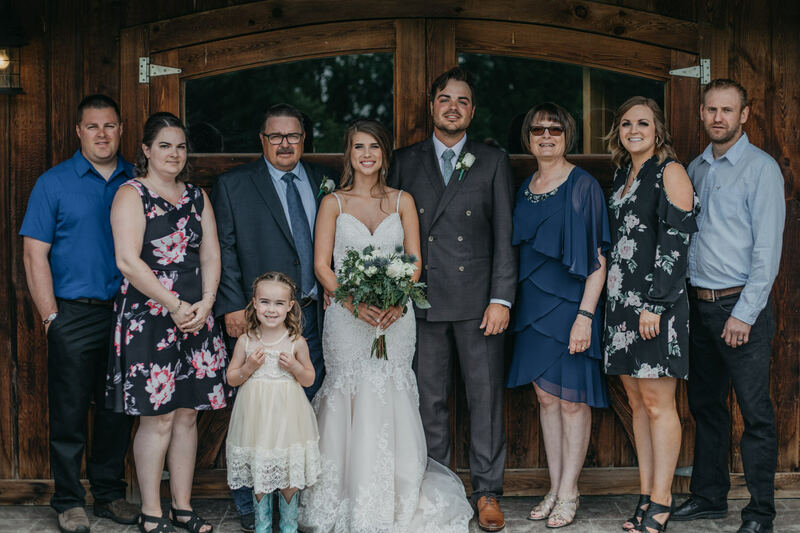 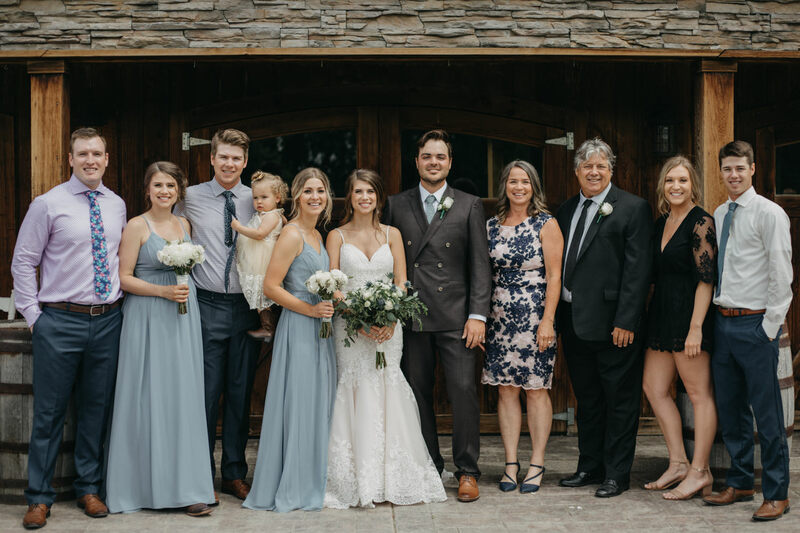 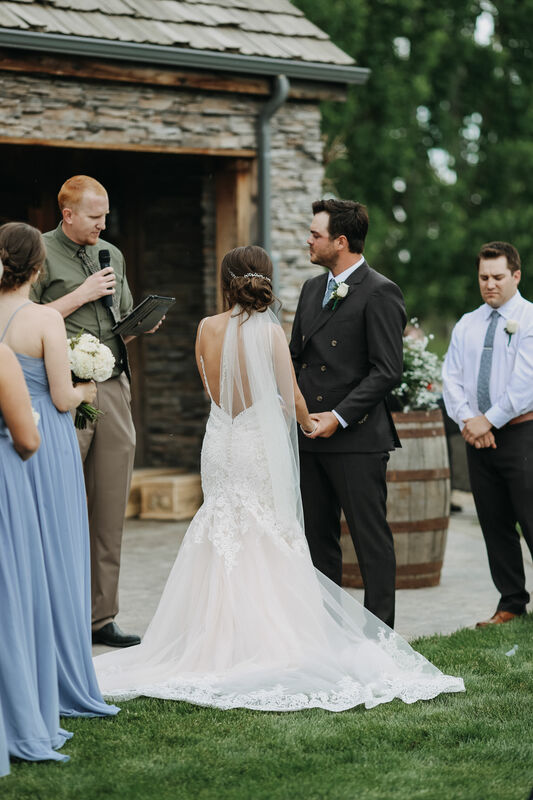 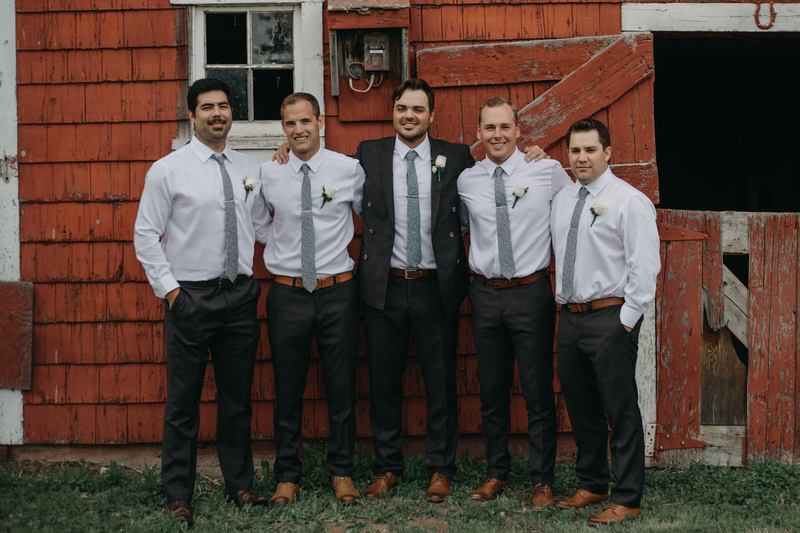 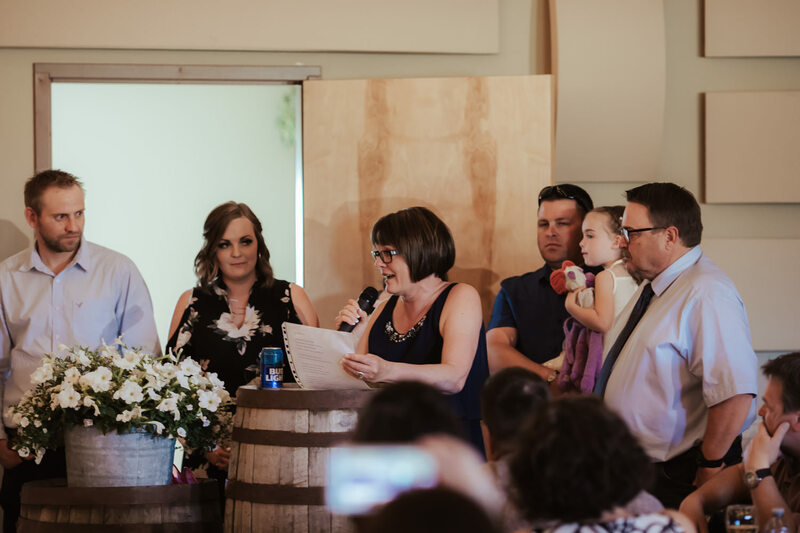 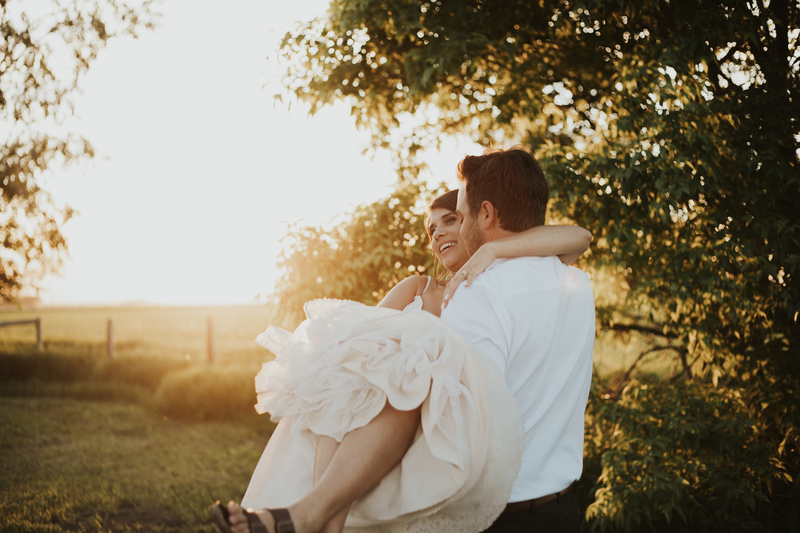 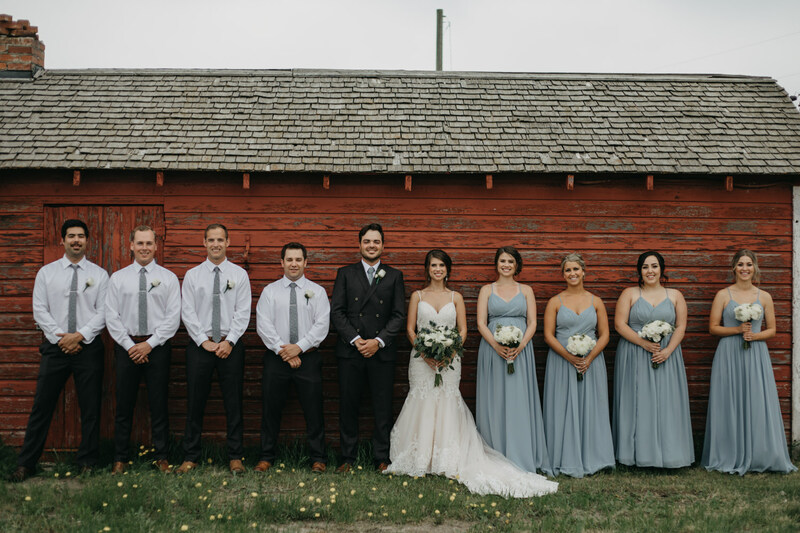 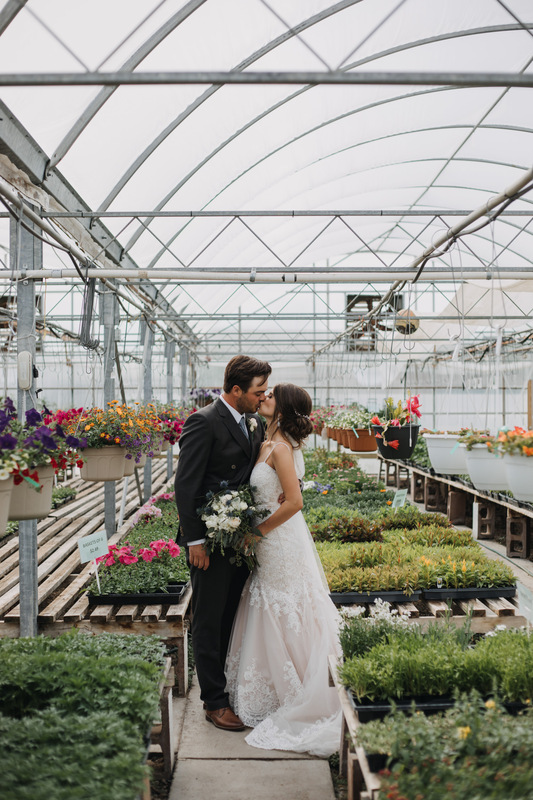 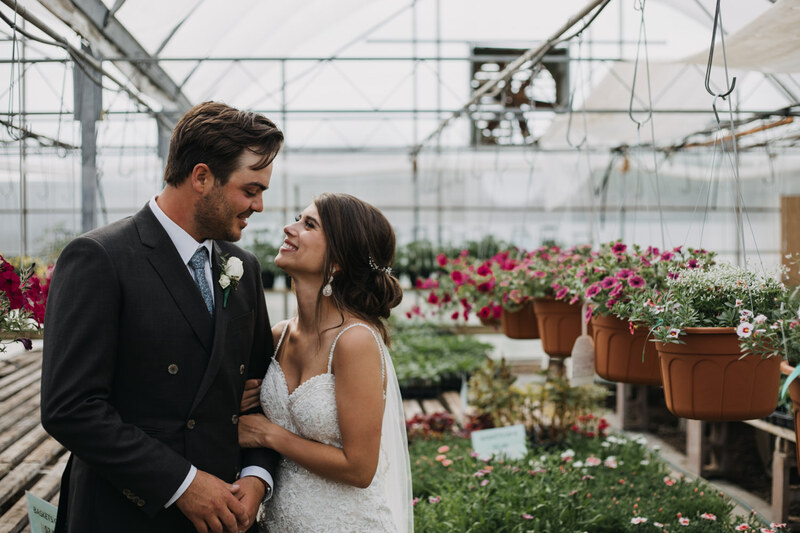 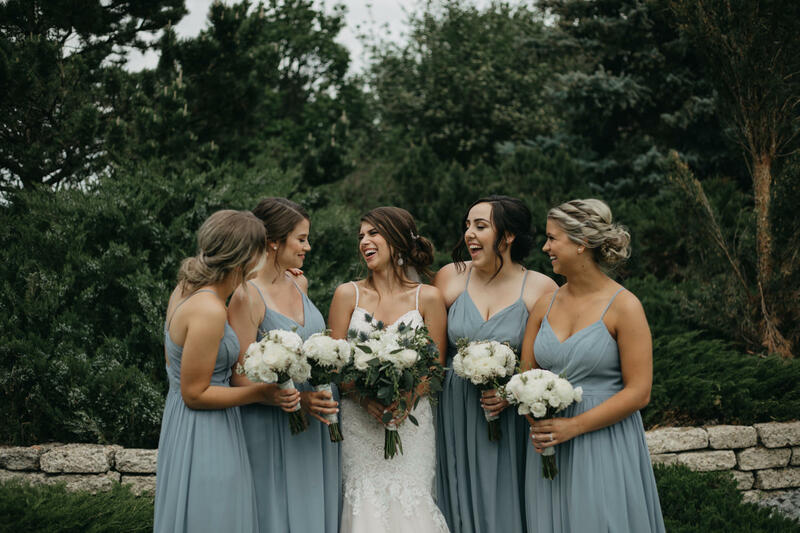 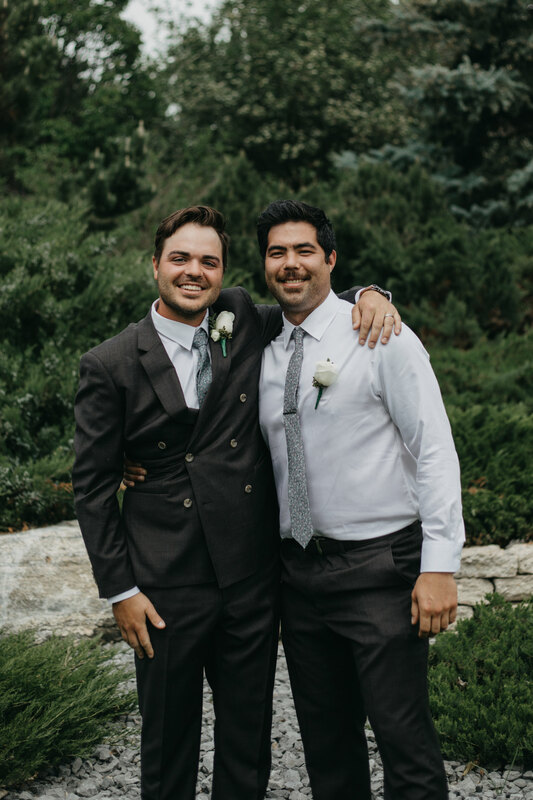 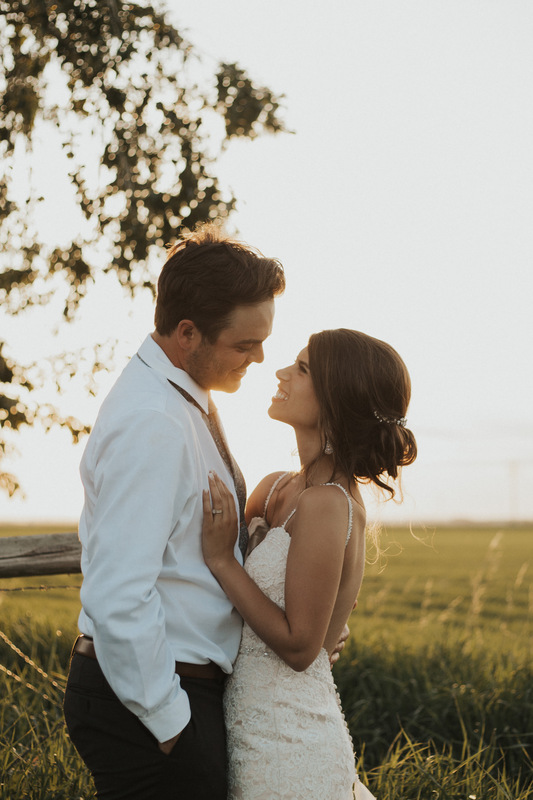 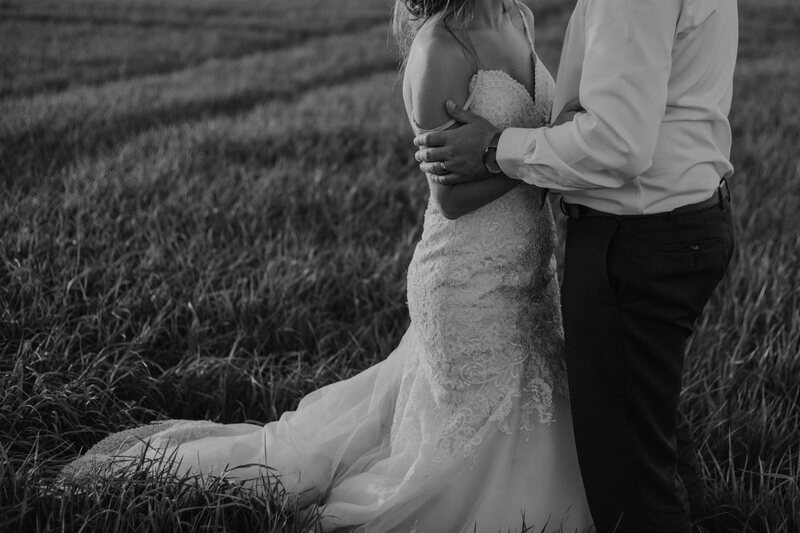 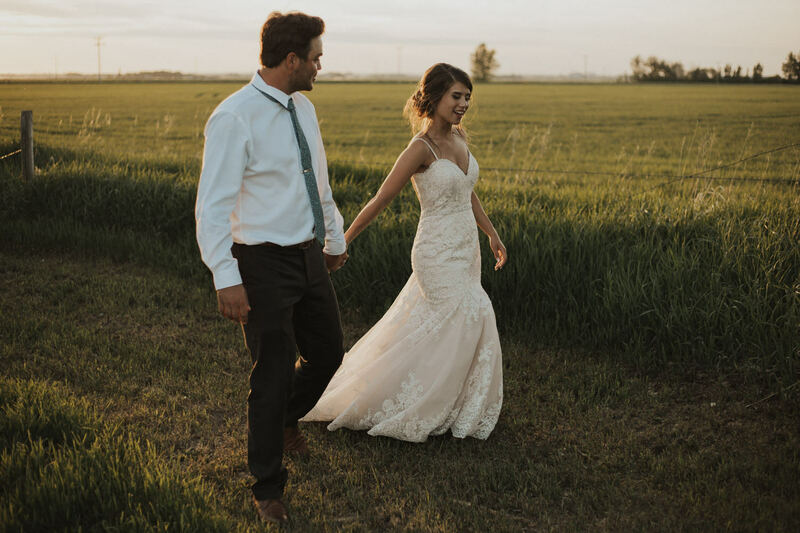 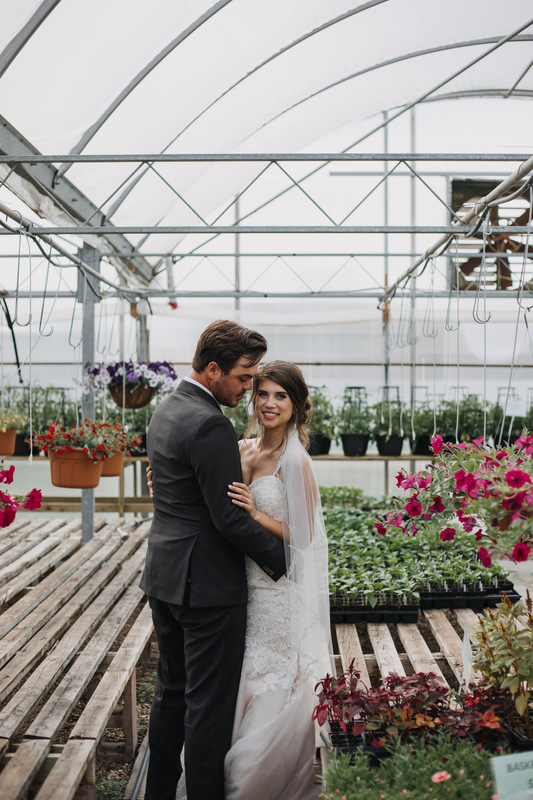 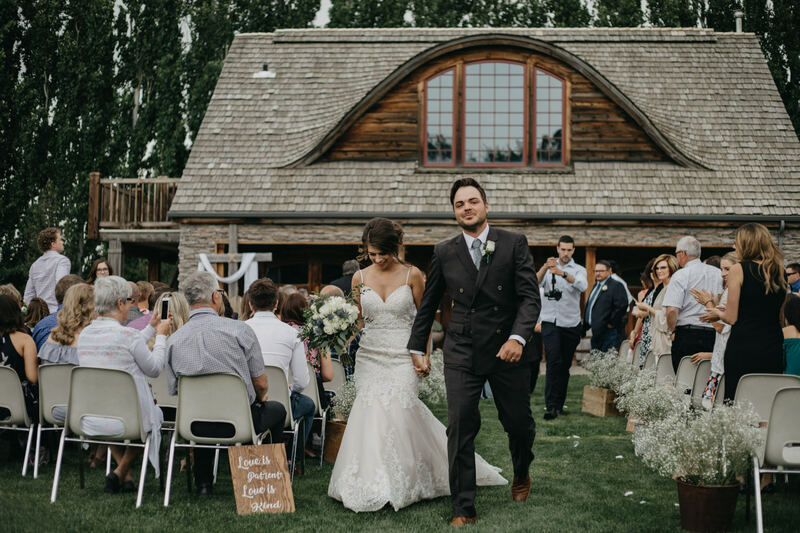 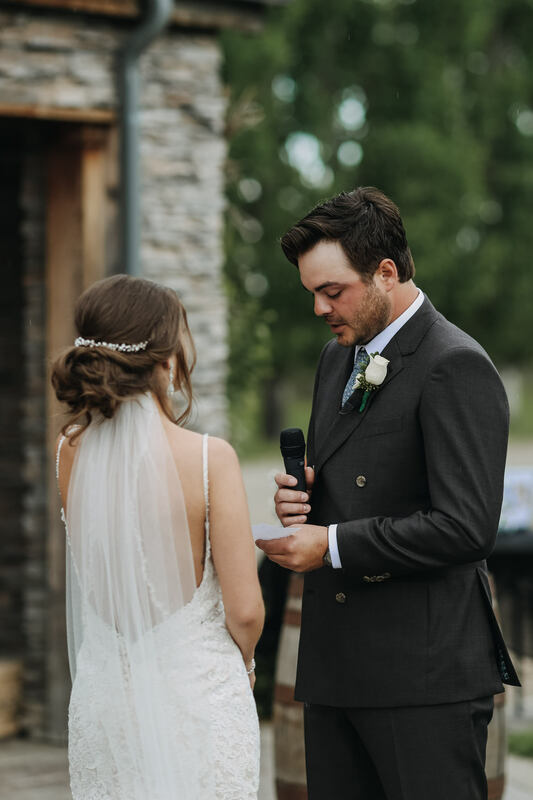 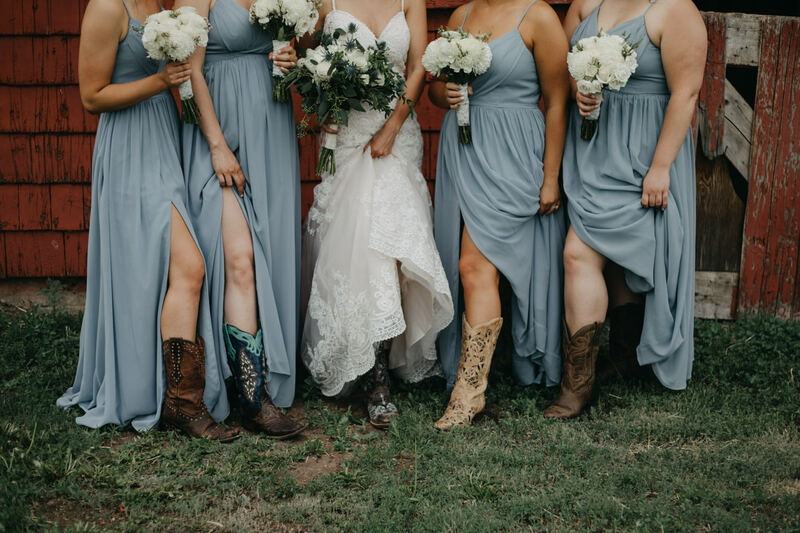 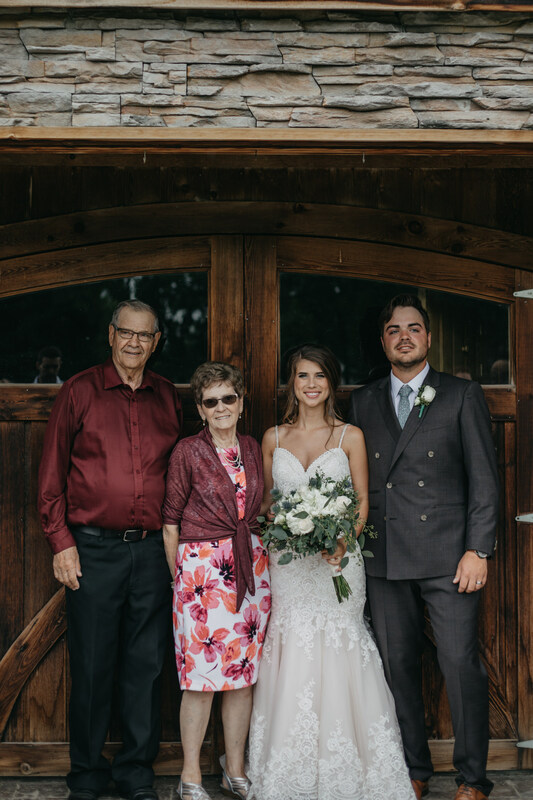 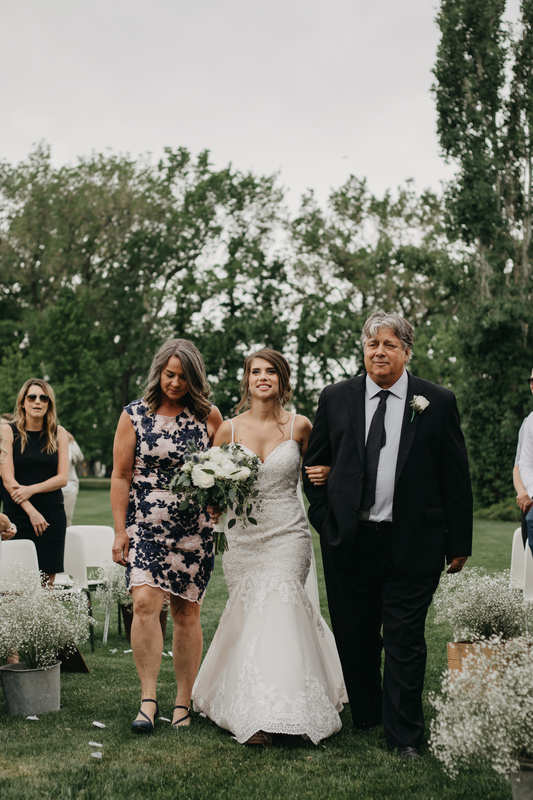 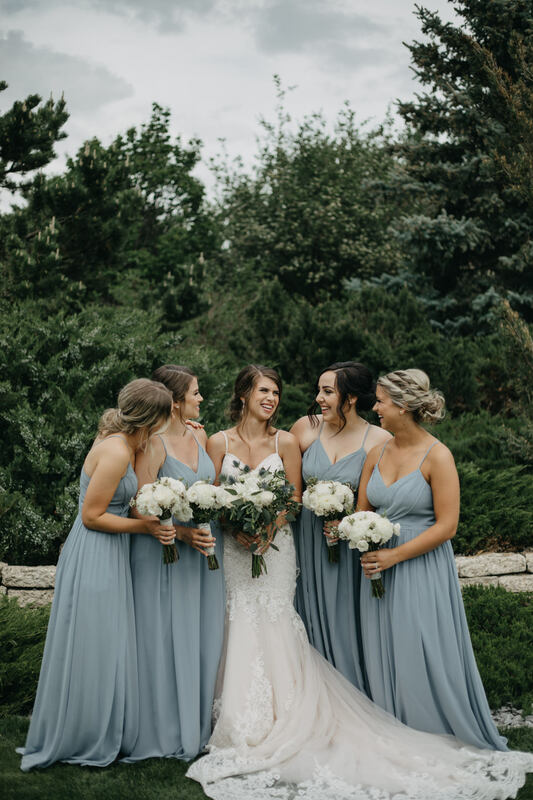 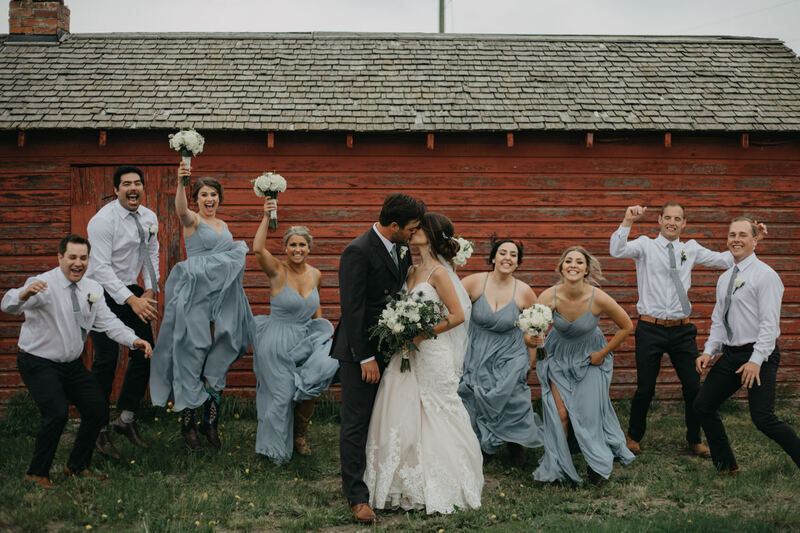 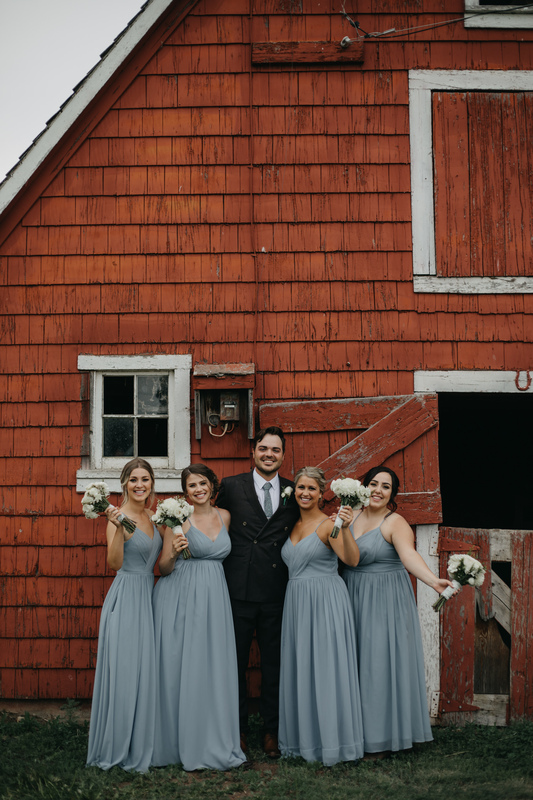 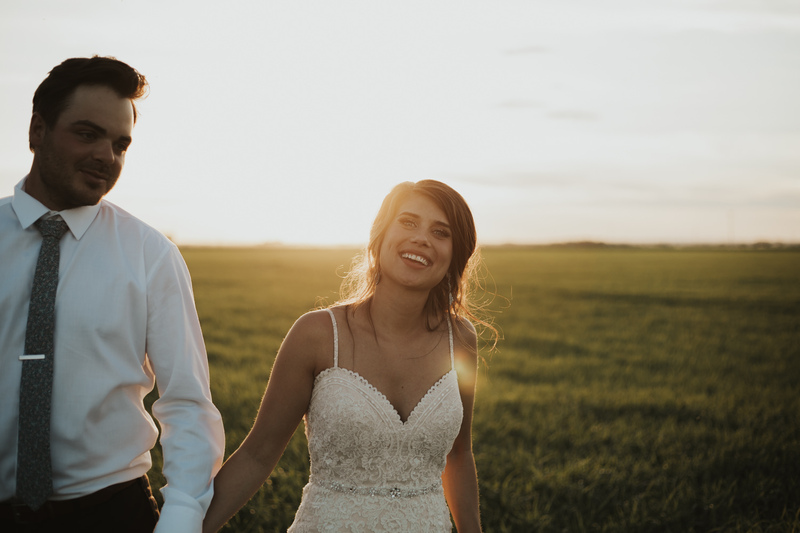 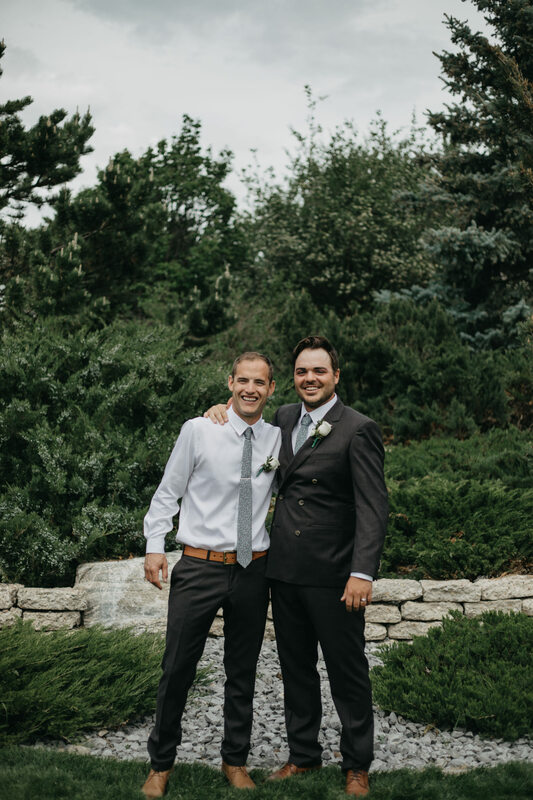 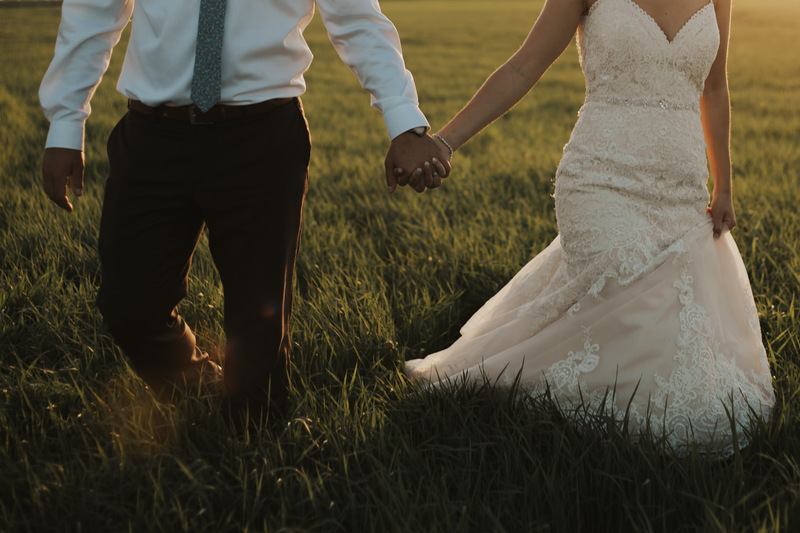 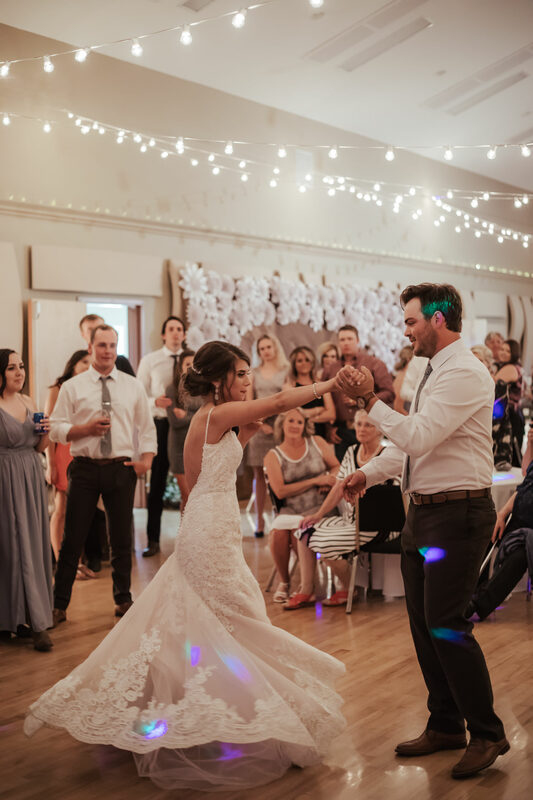 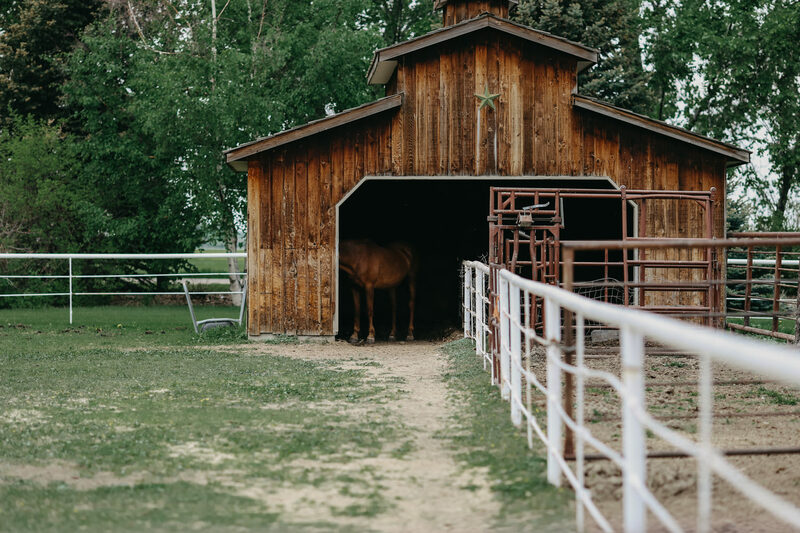 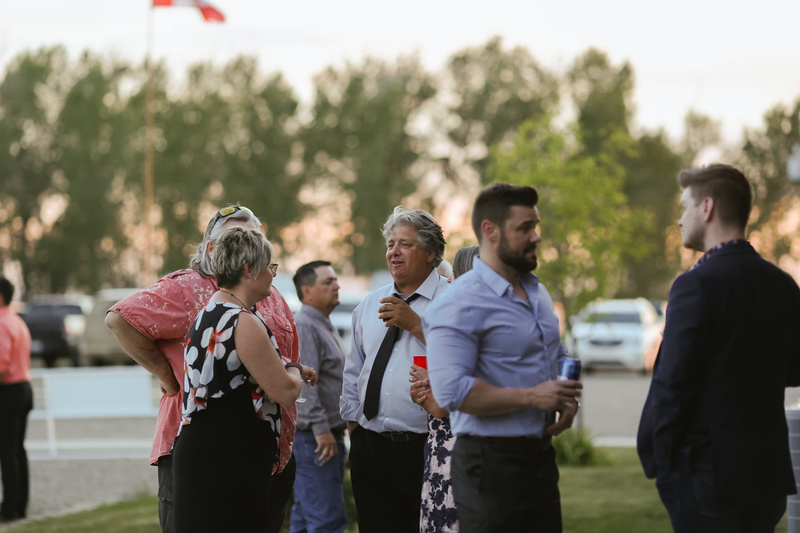 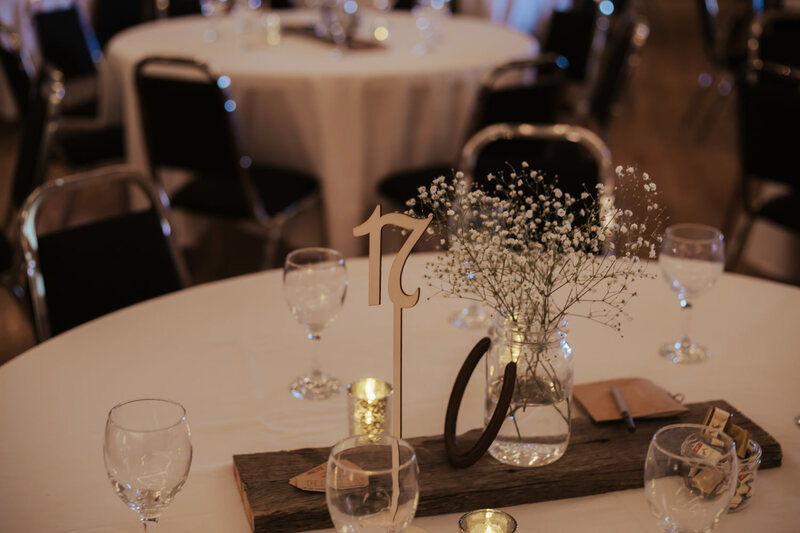 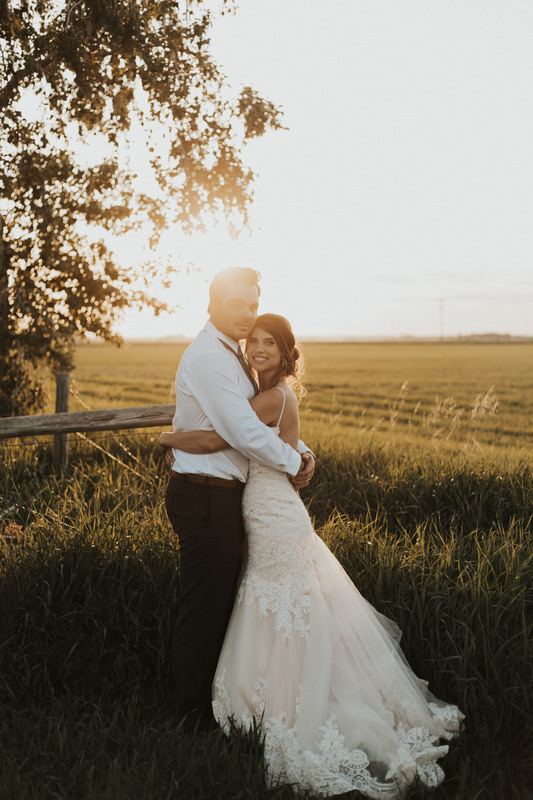 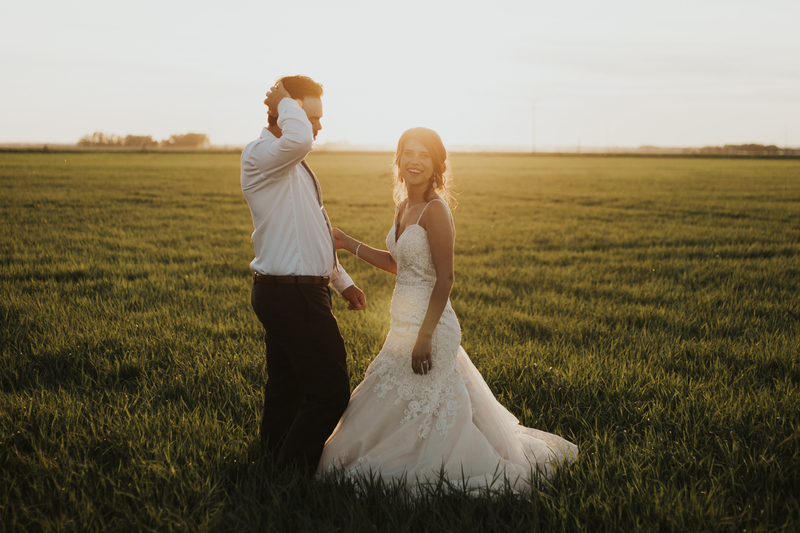 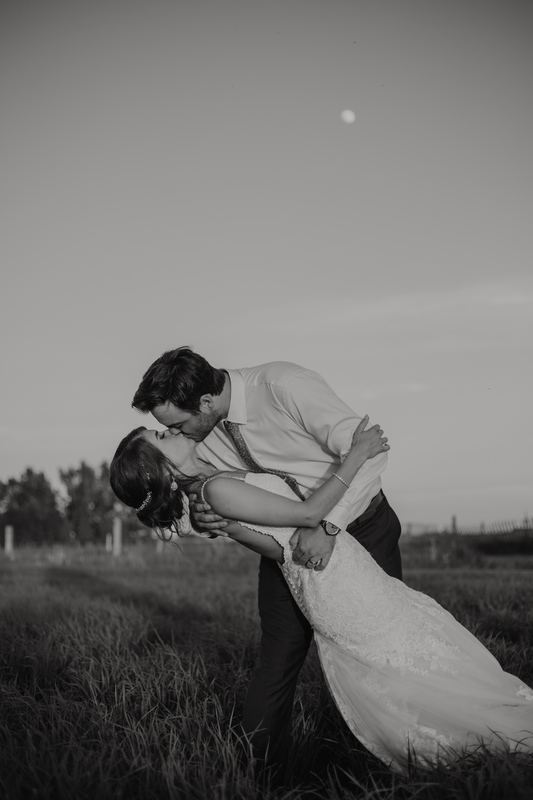 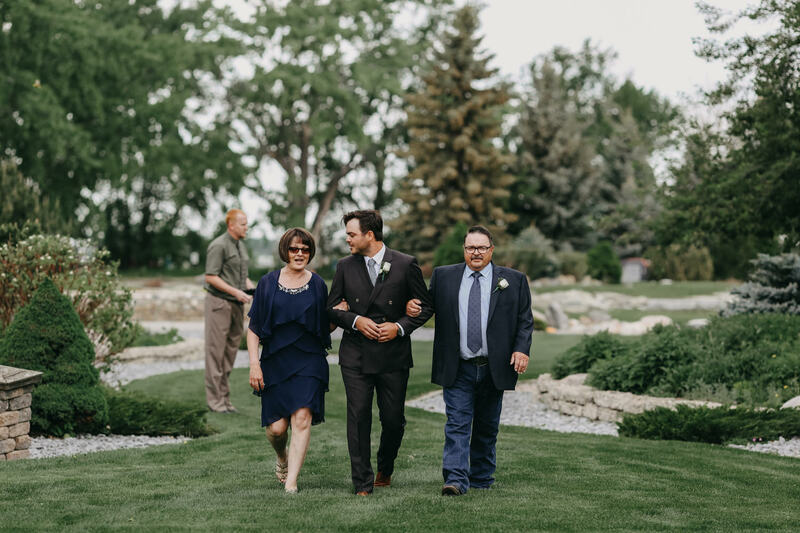 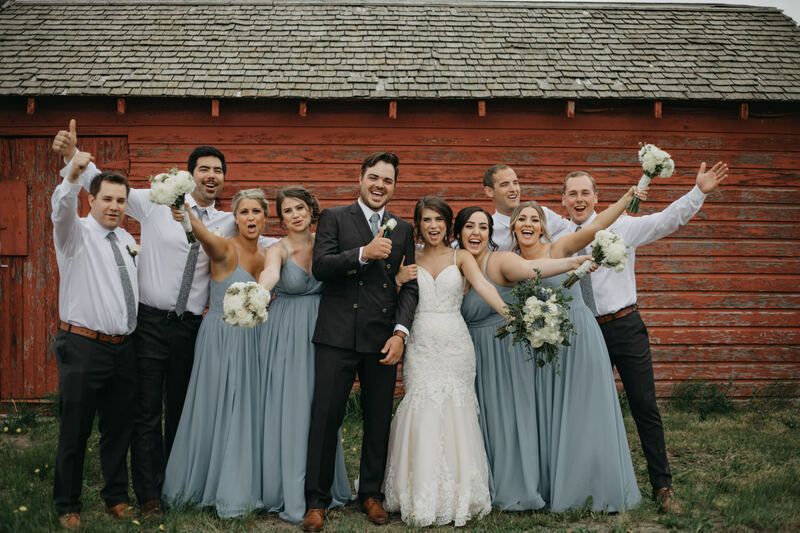 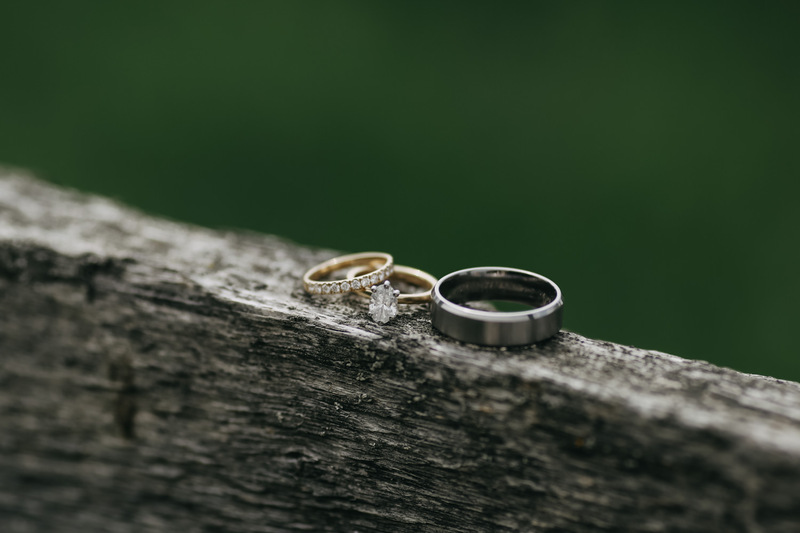 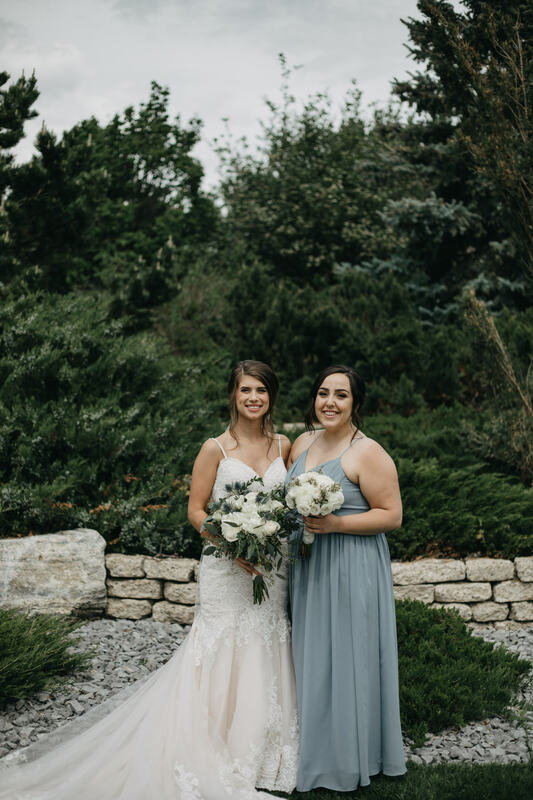 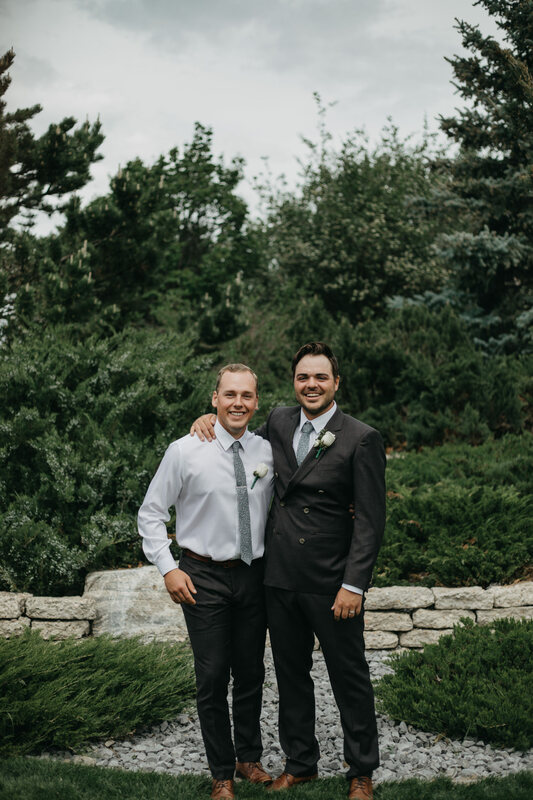 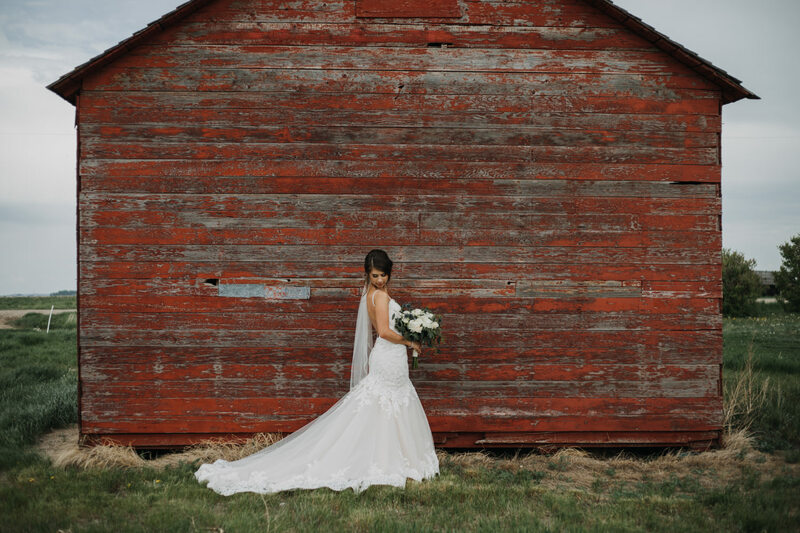 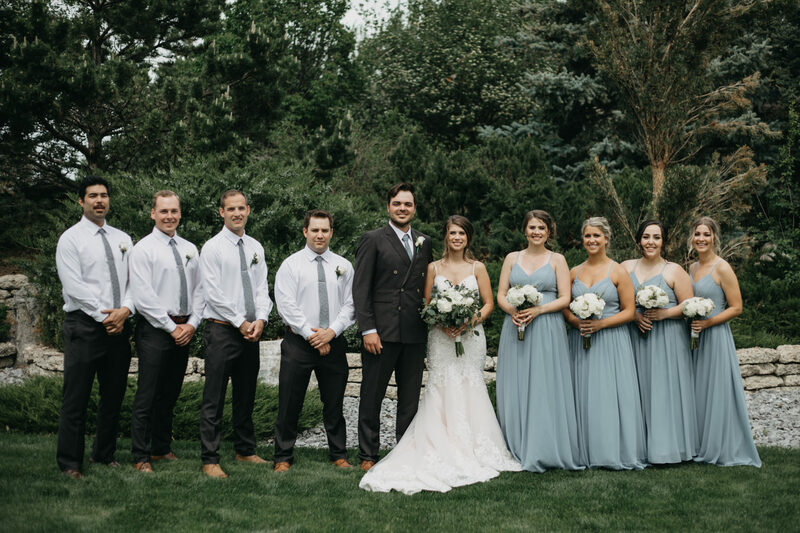 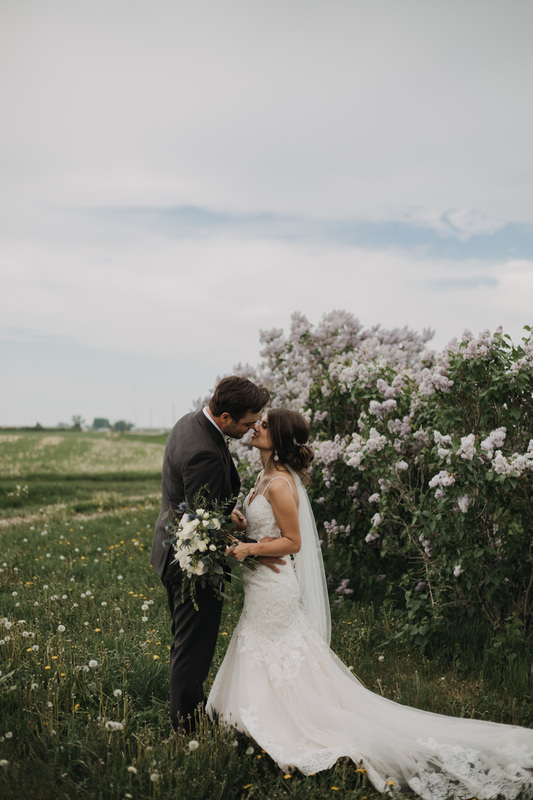 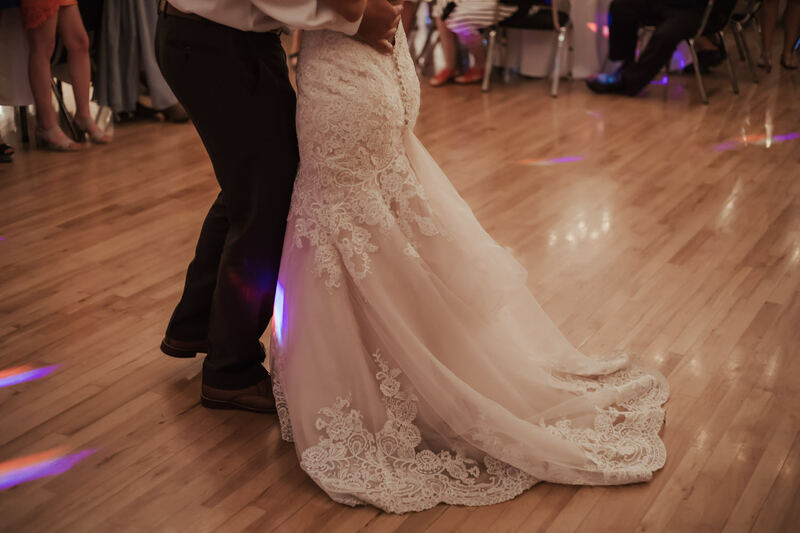 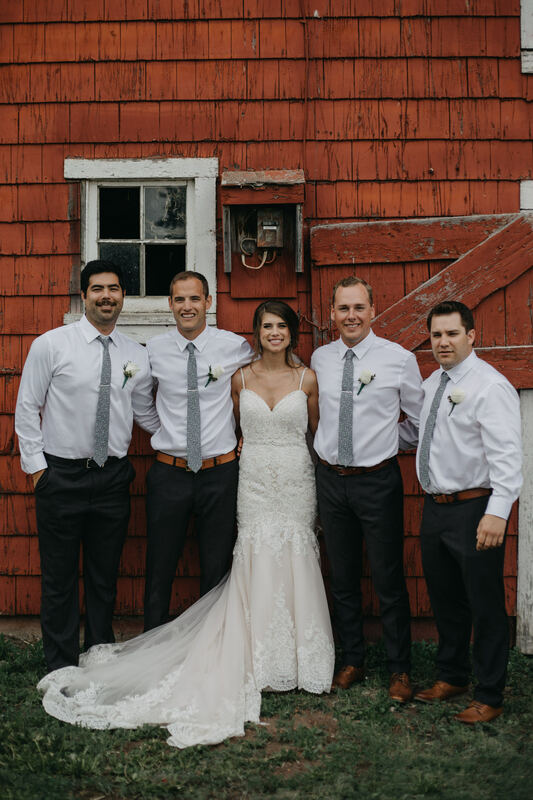 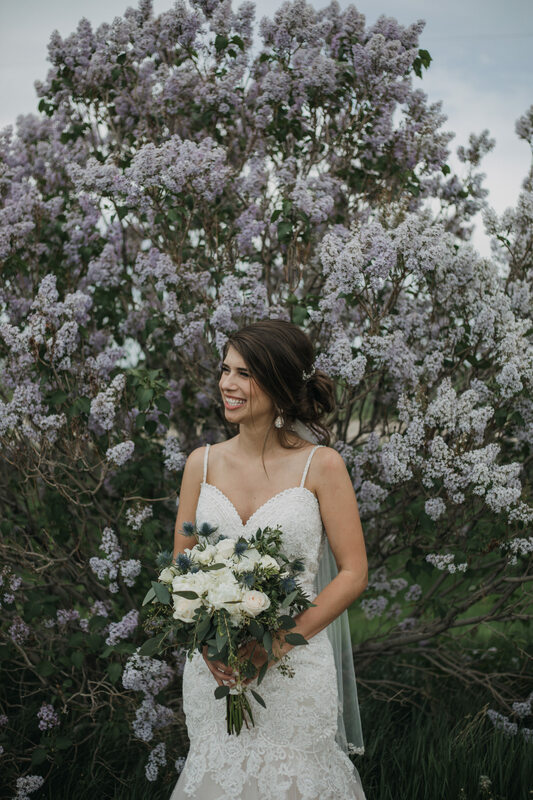 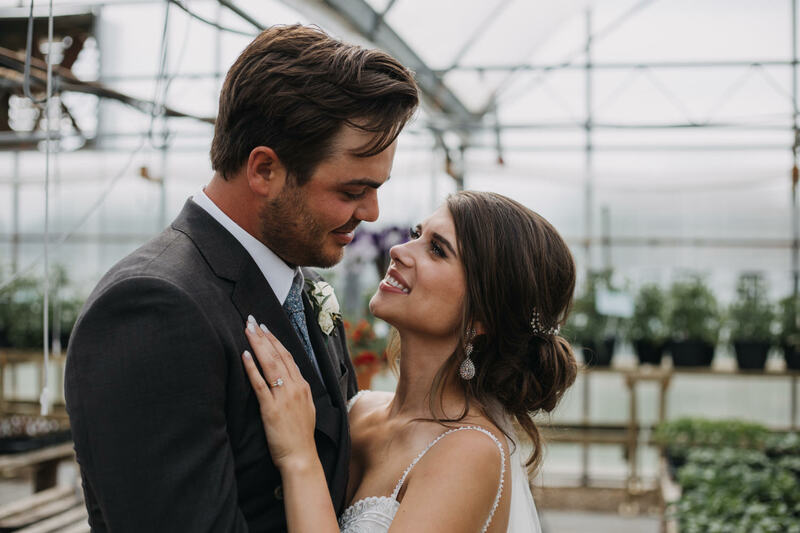 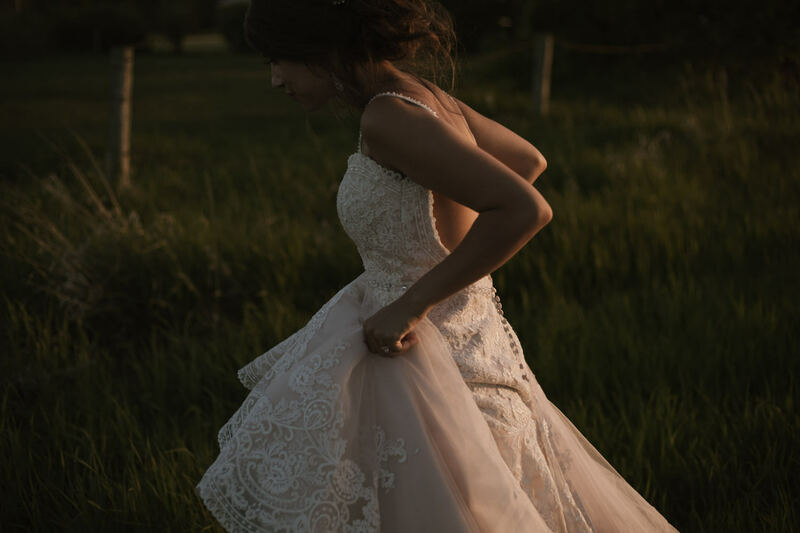 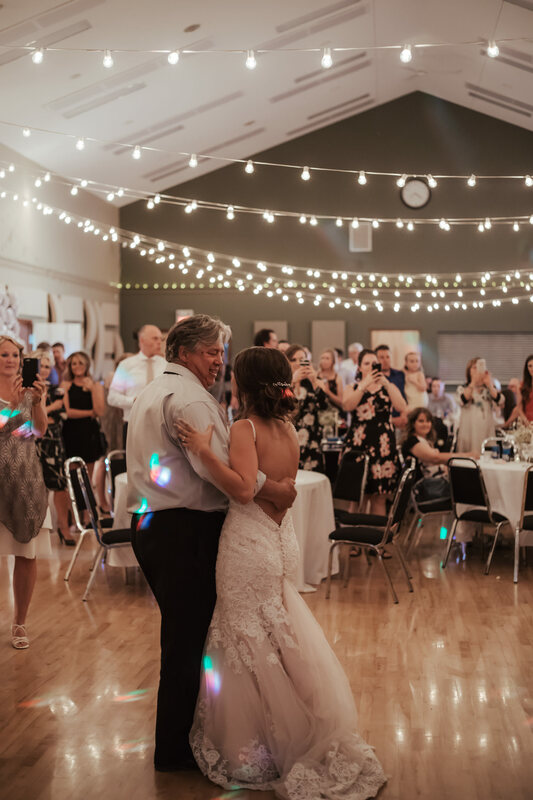 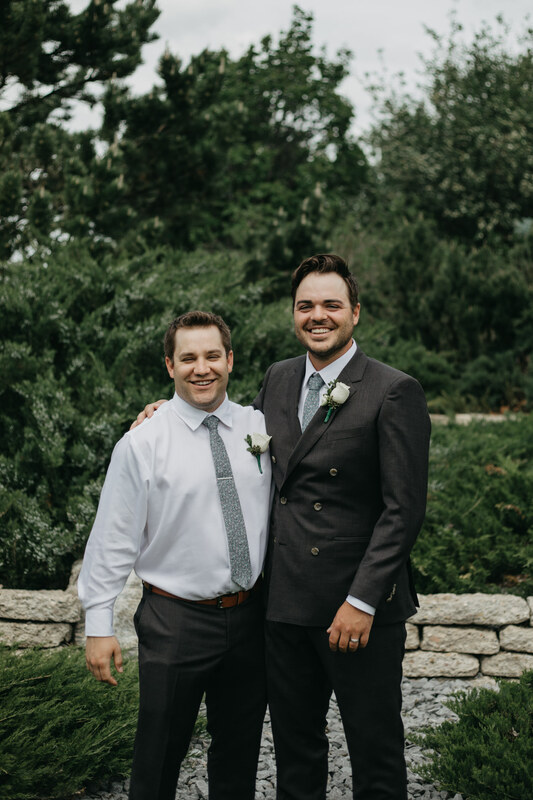 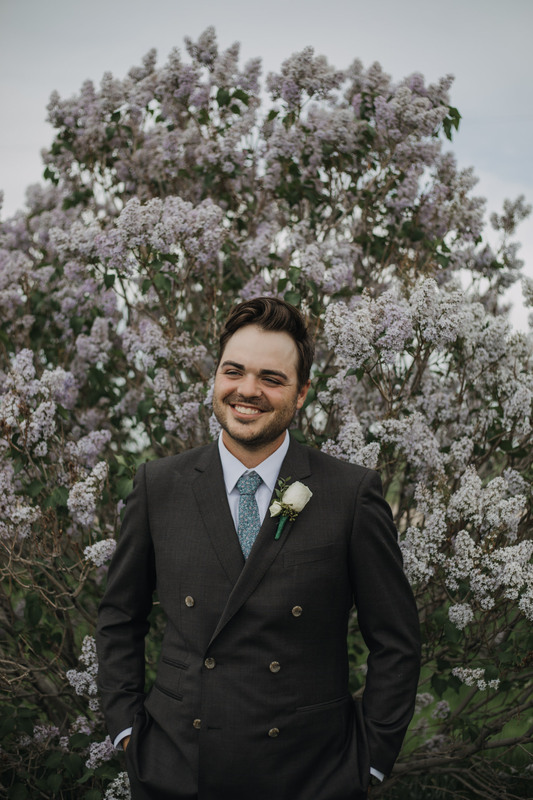 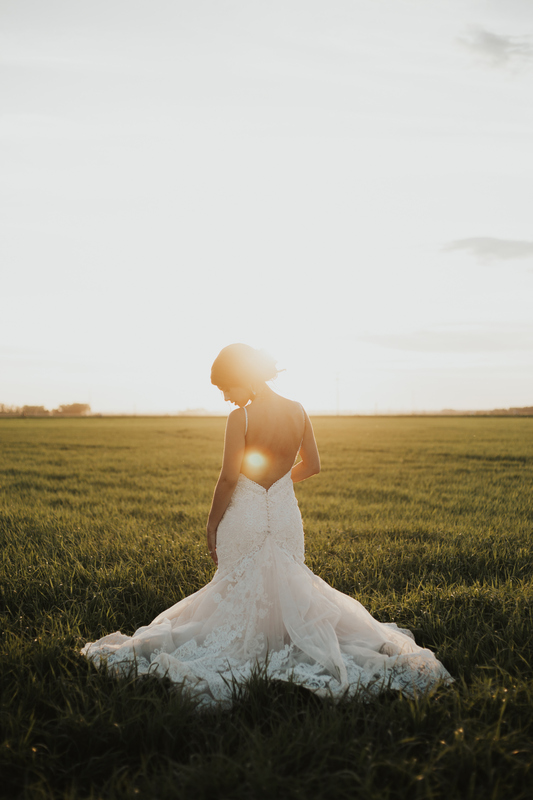 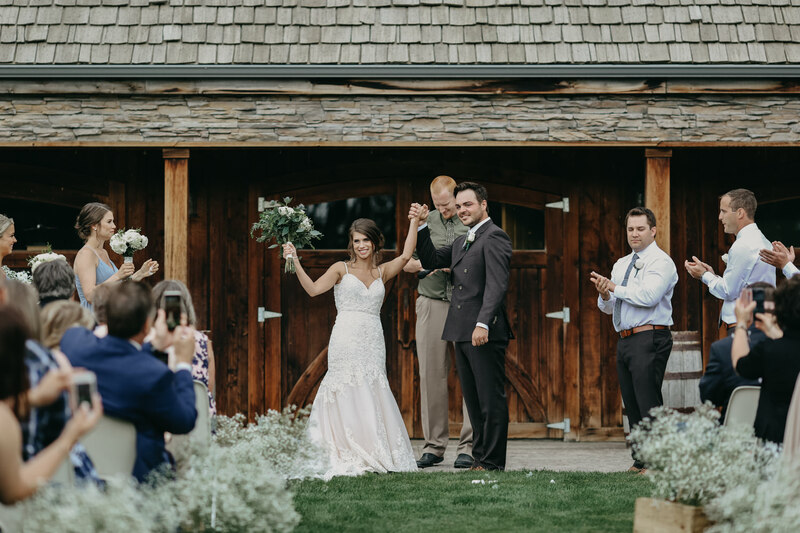 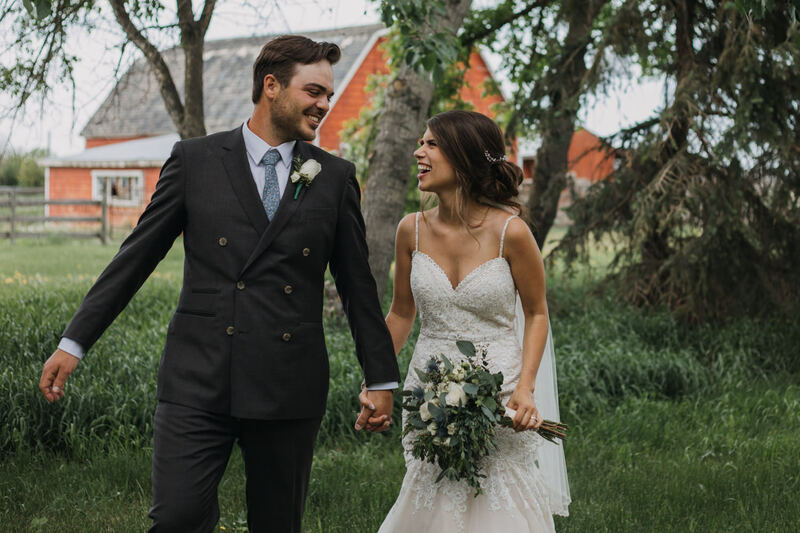 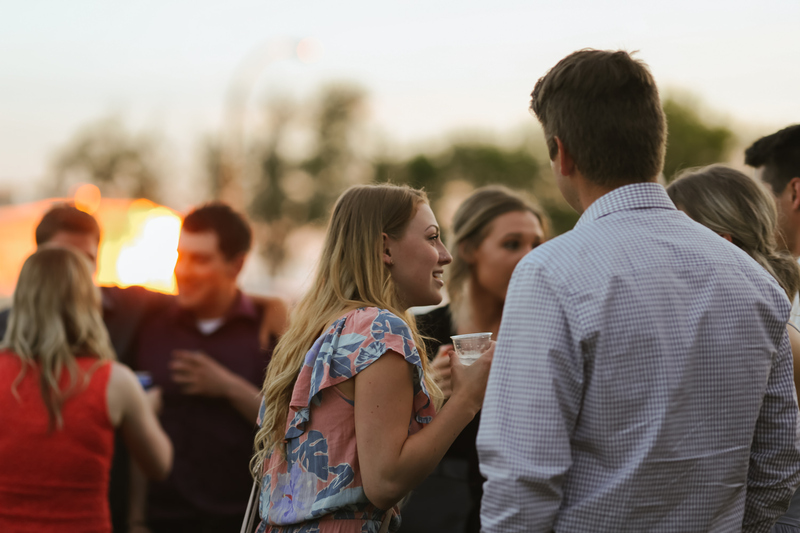 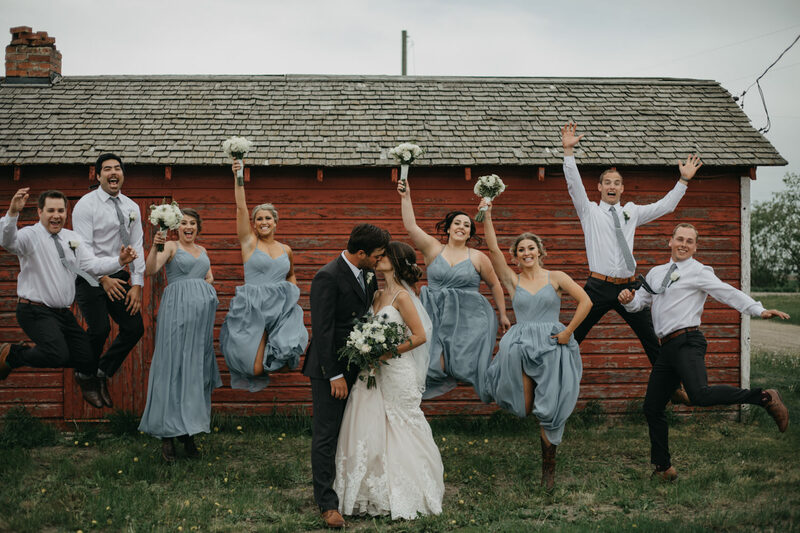 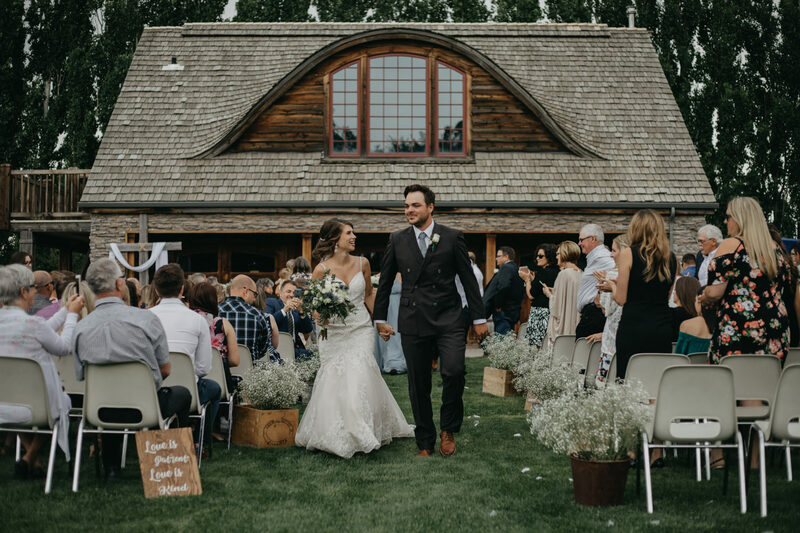 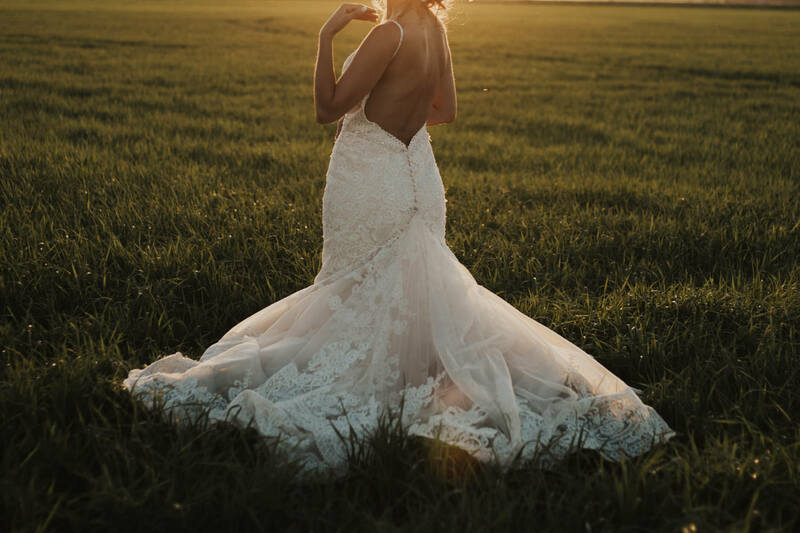 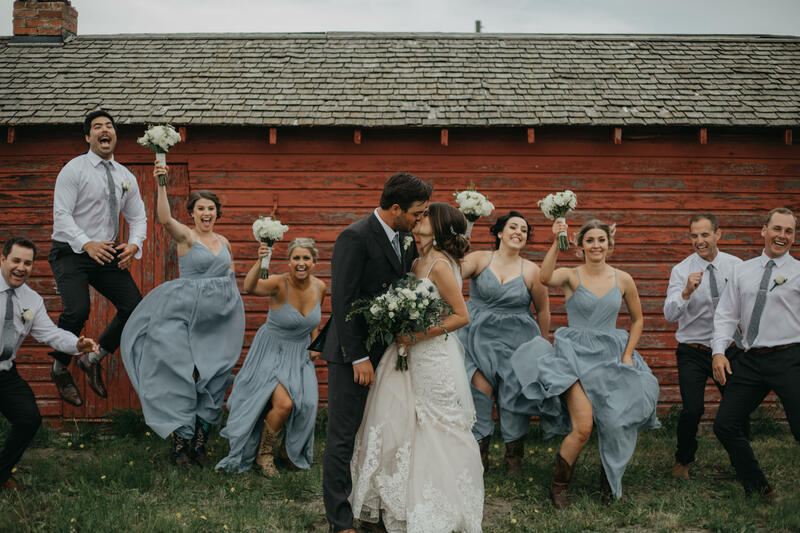 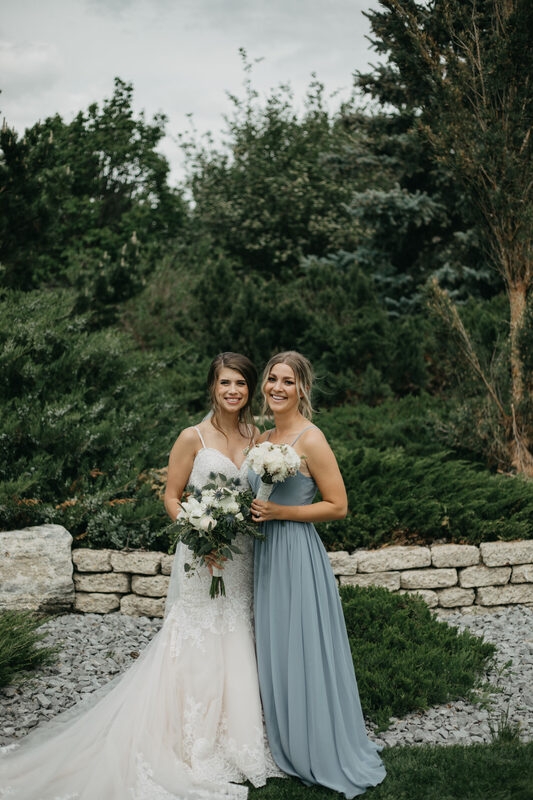 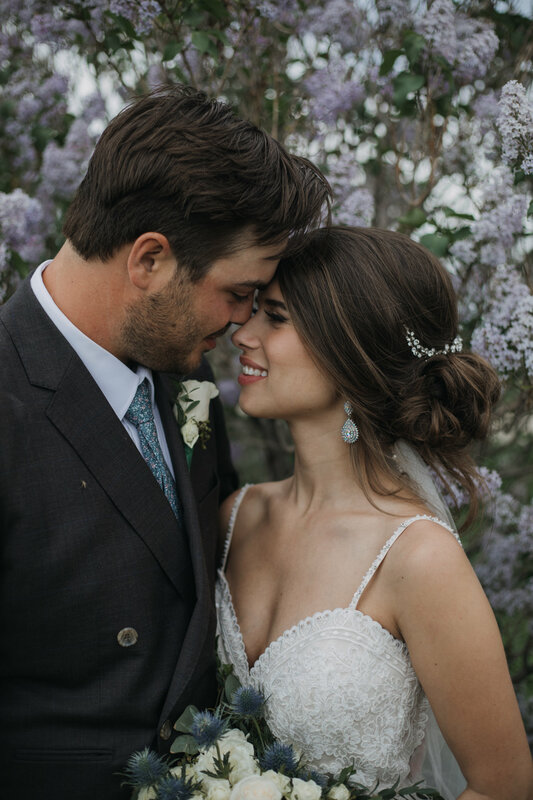 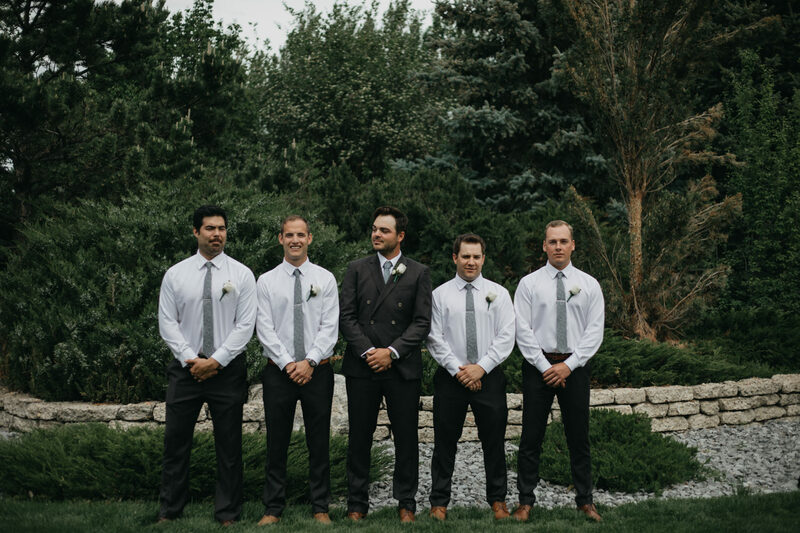 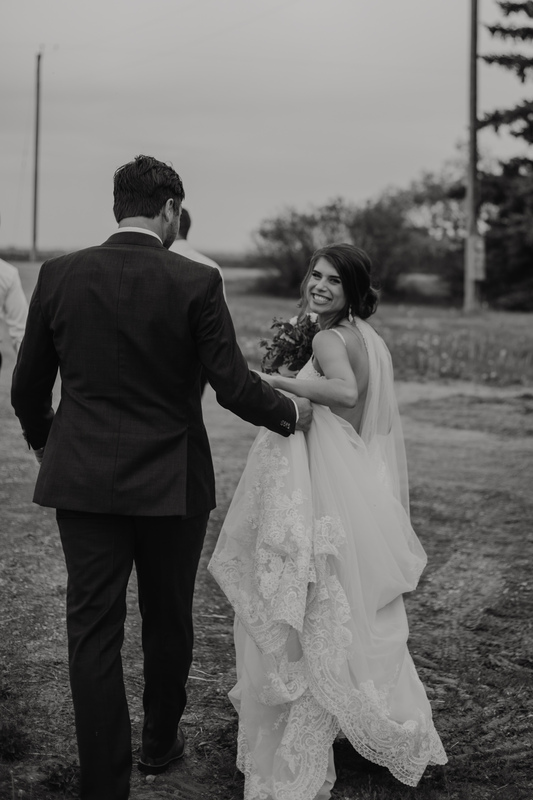 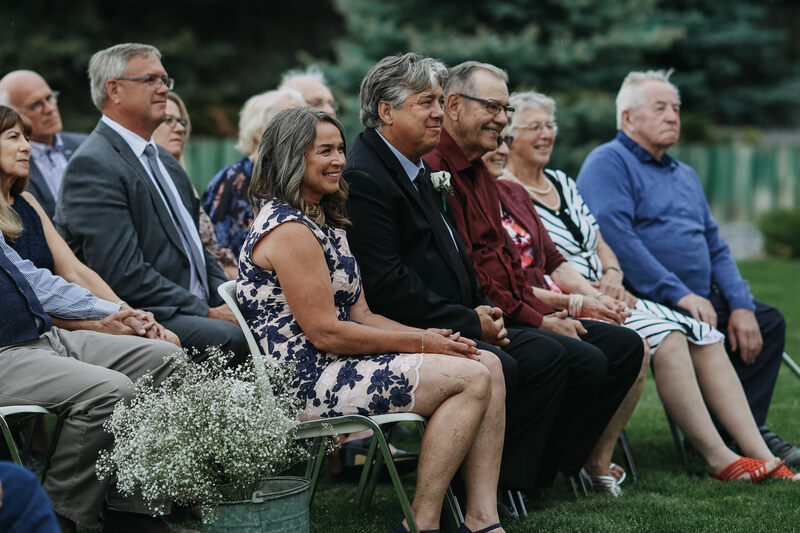 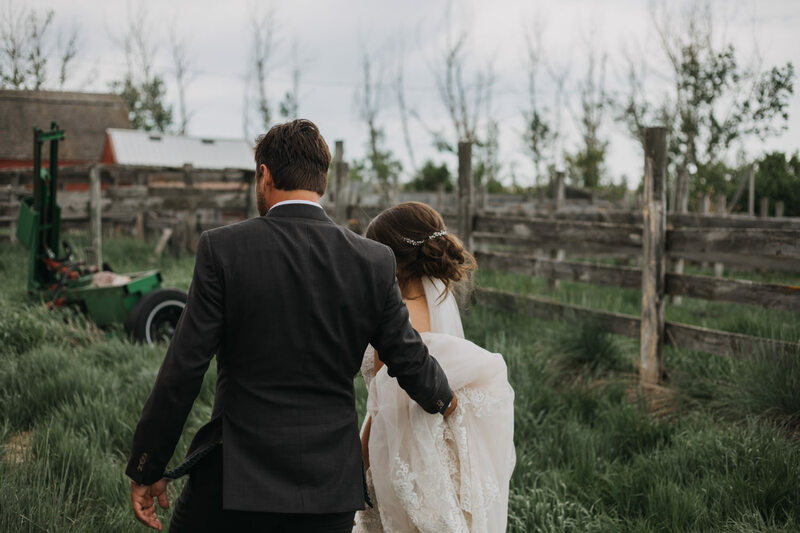 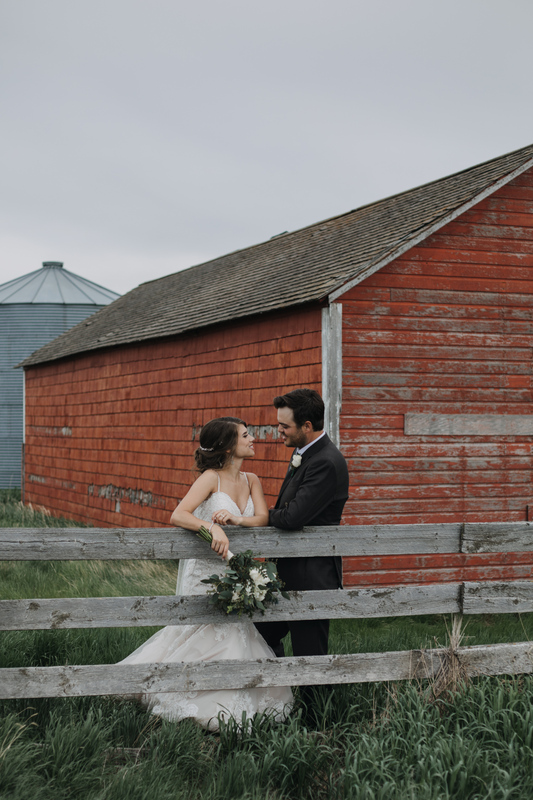 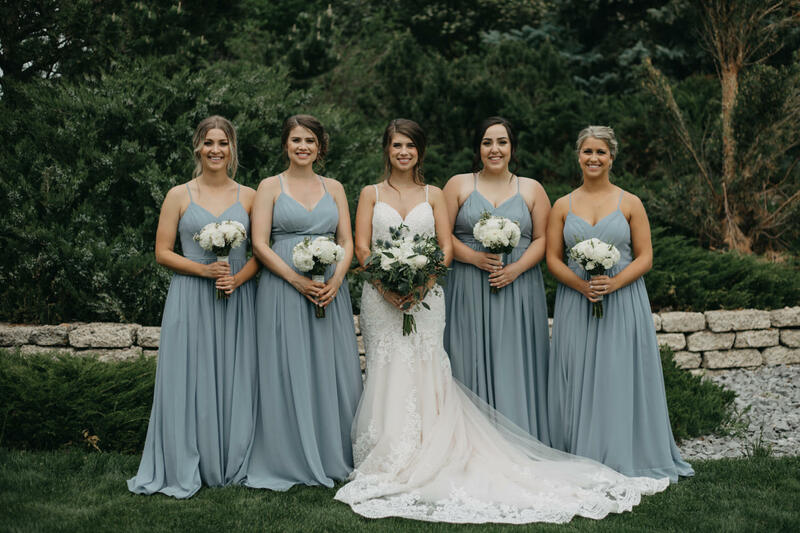 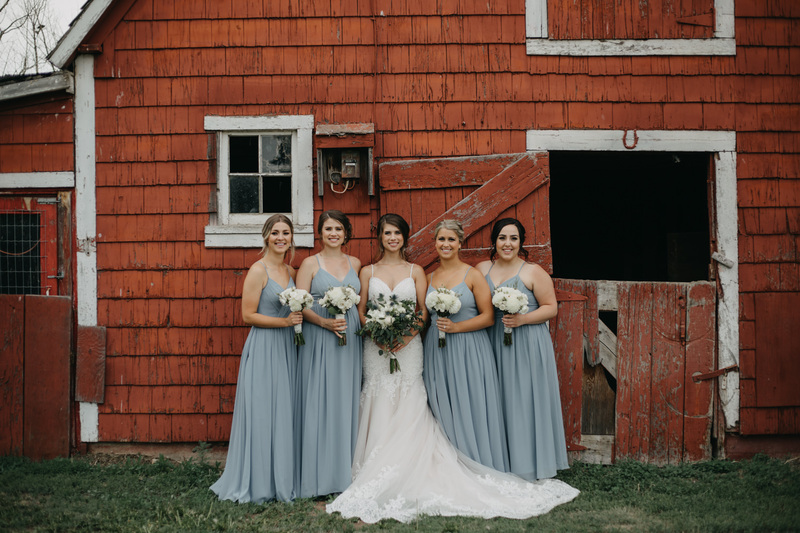 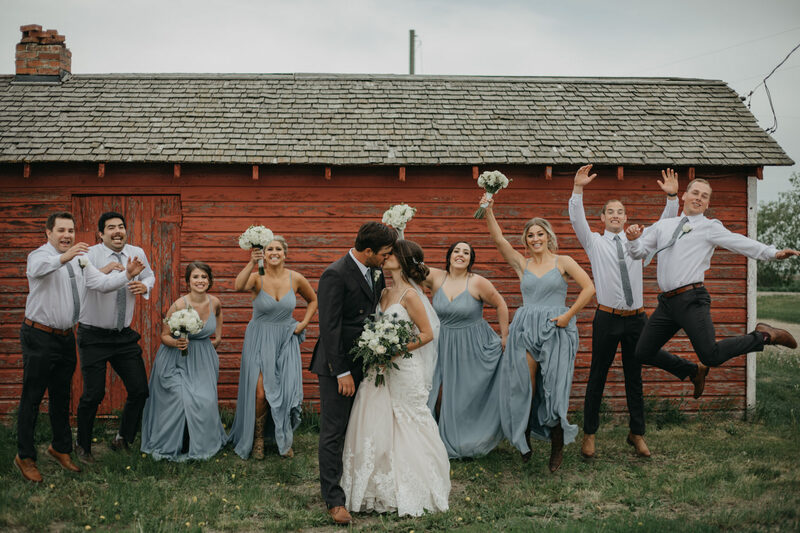 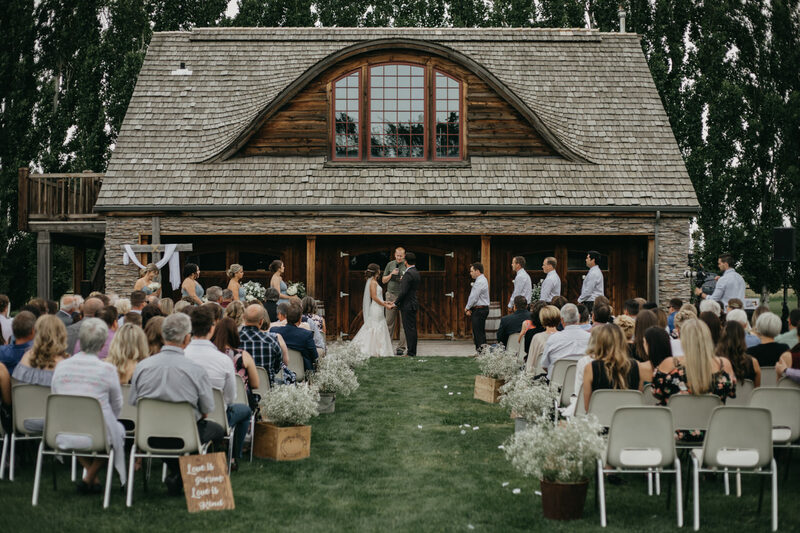 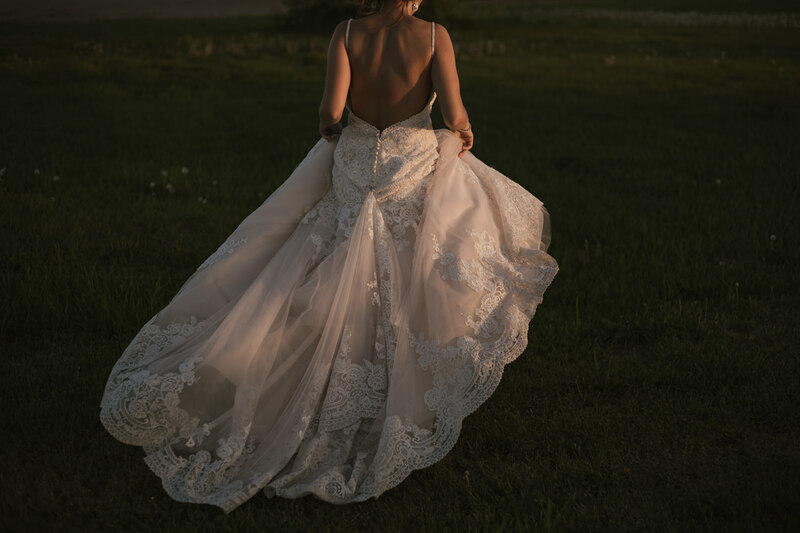 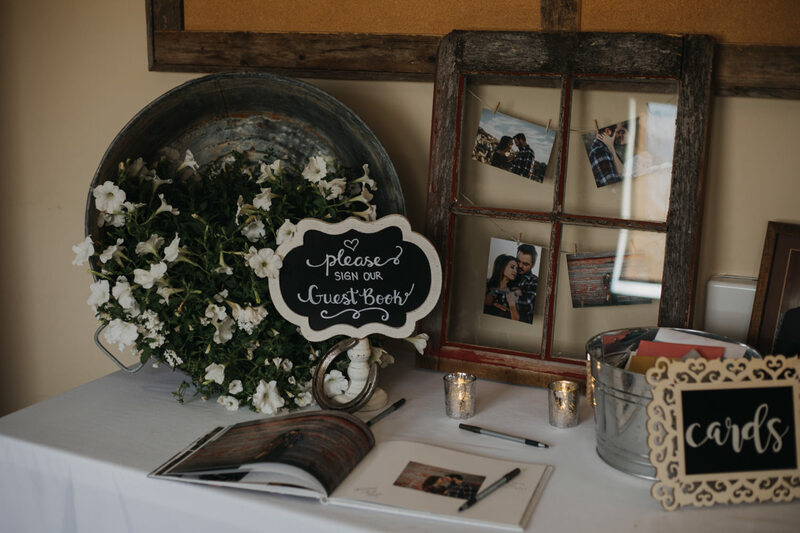 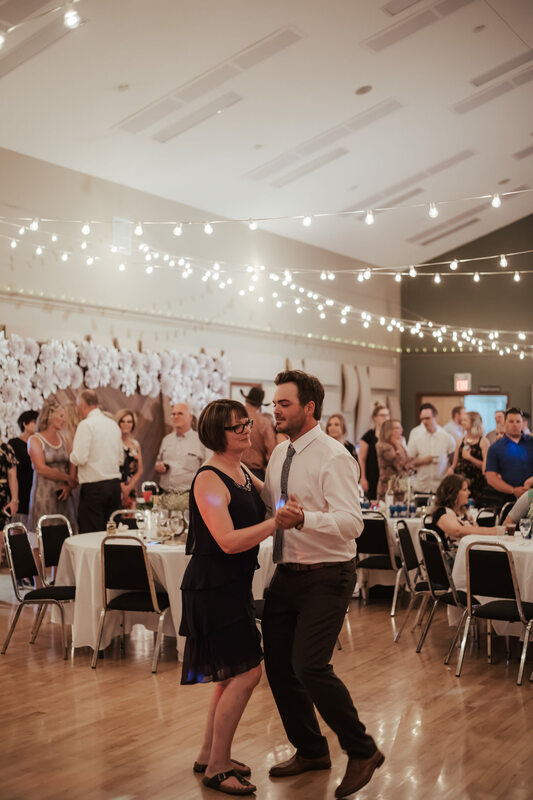 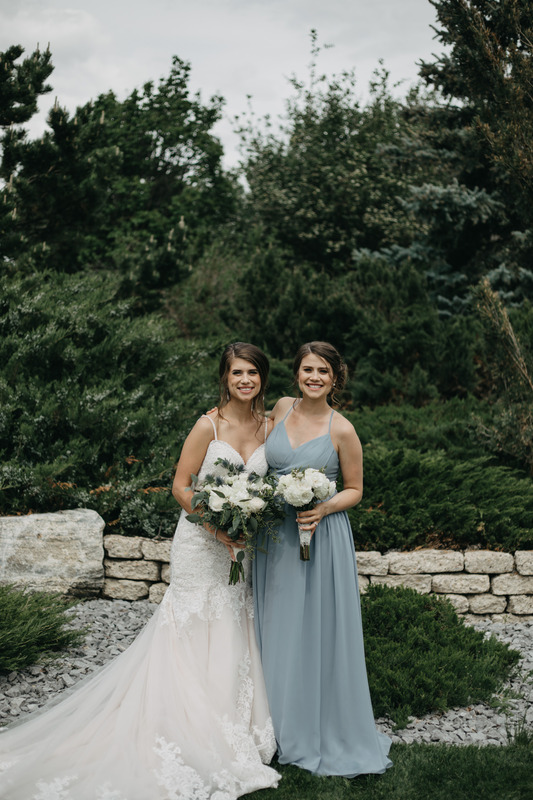 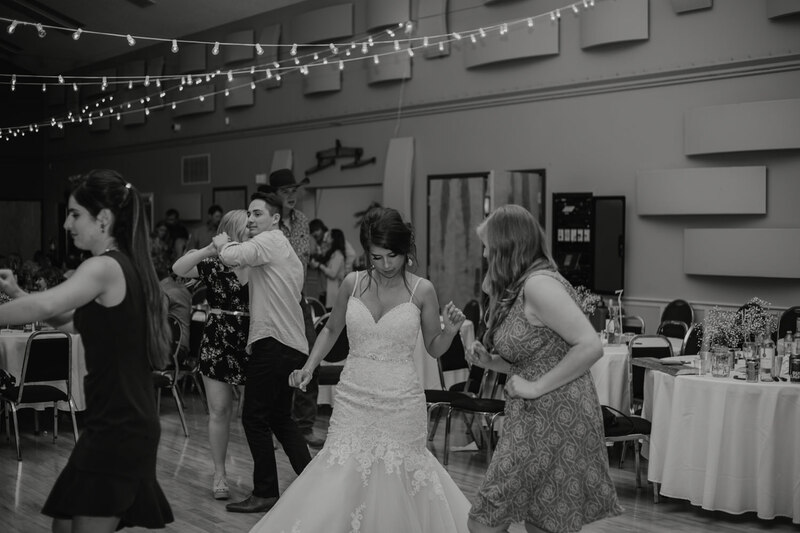 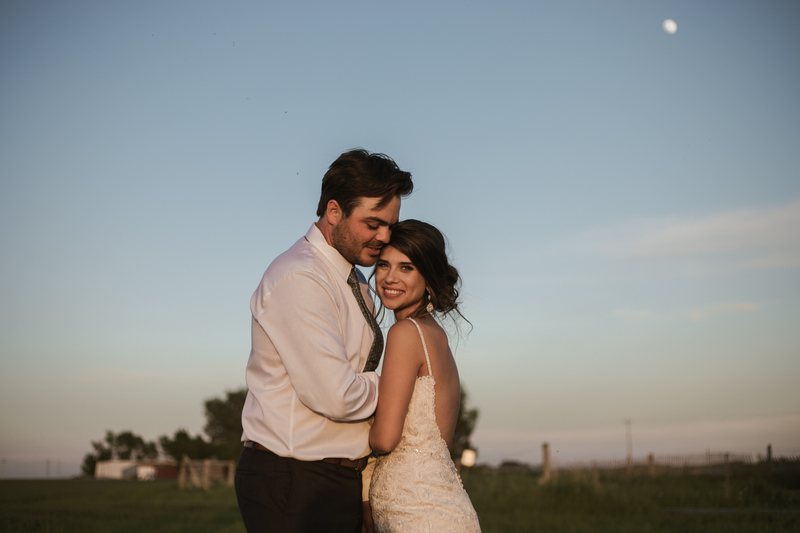 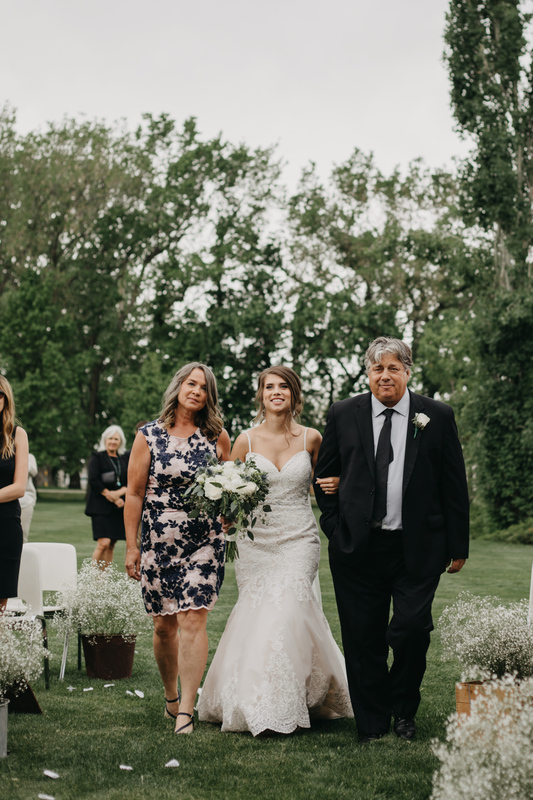 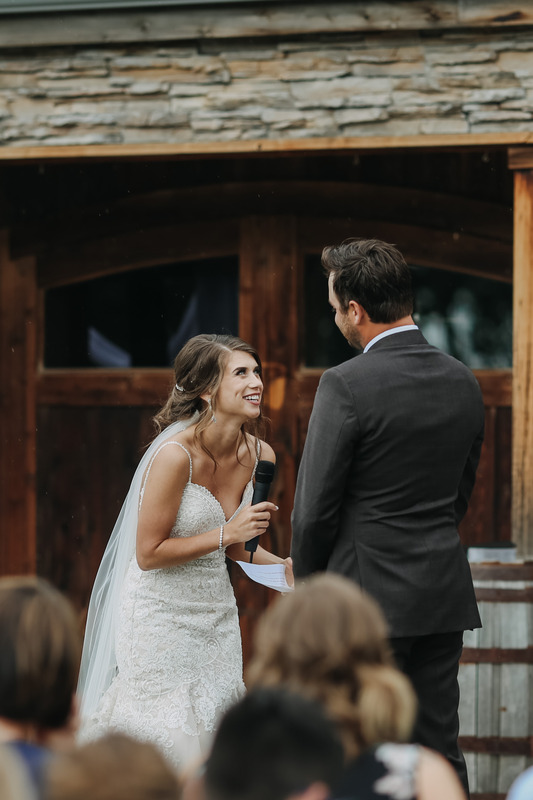 They tied the knot at a friend’s beautiful ranch just outside of Taber, and I think everyone that was there can agree it was one of the most beautiful venues. 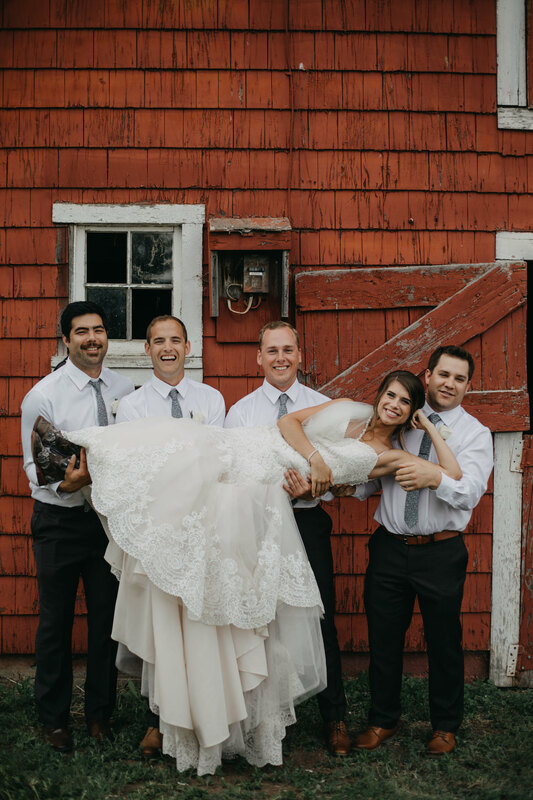 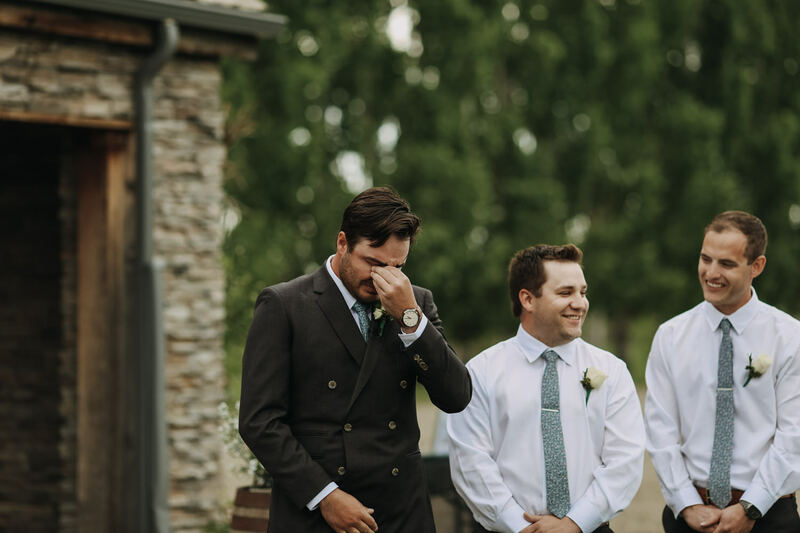 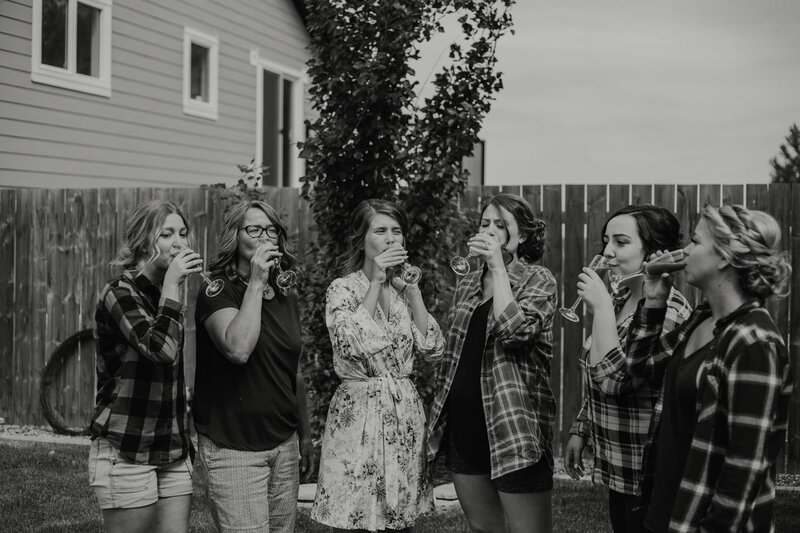 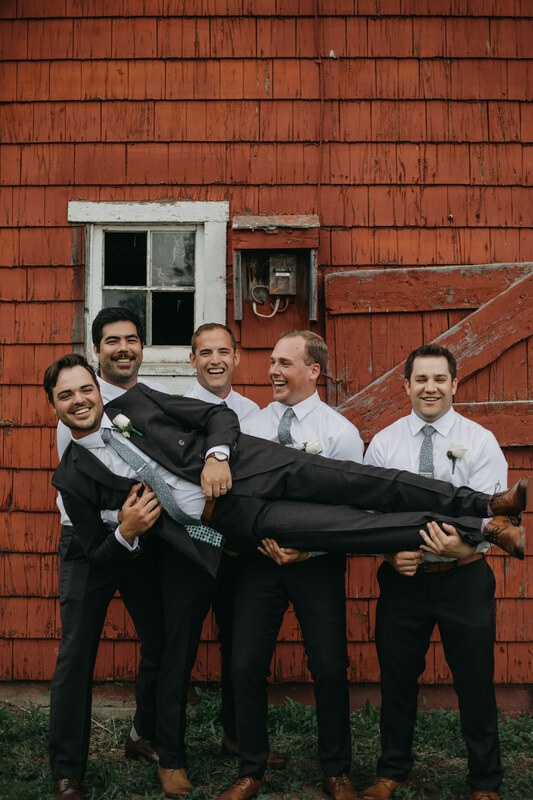 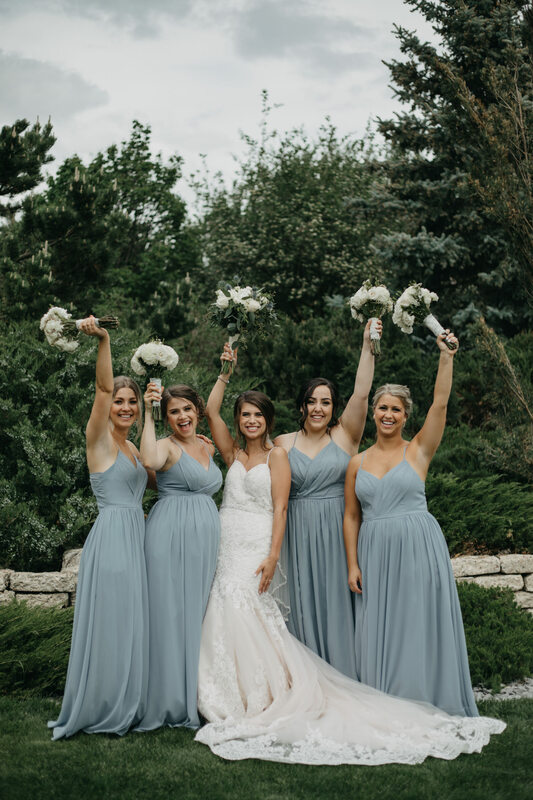 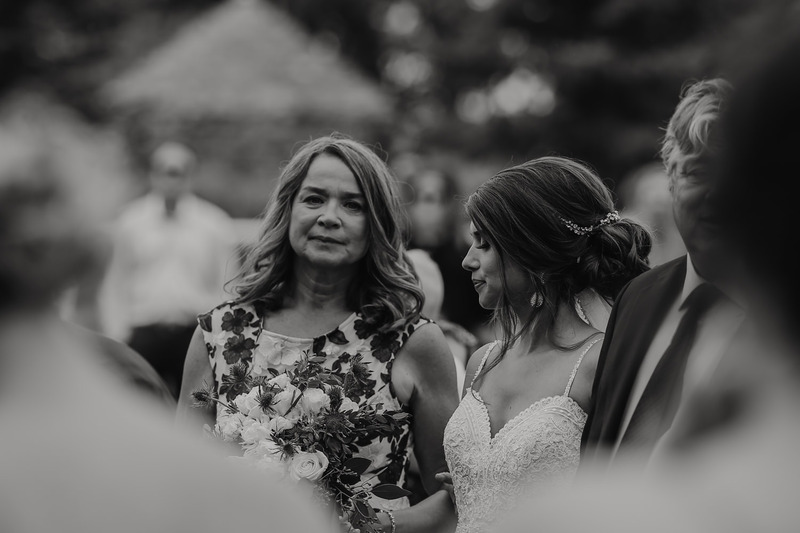 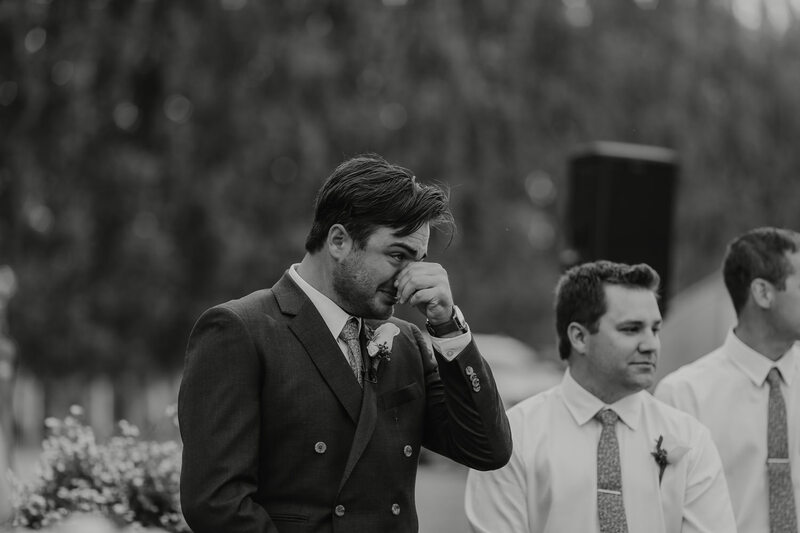 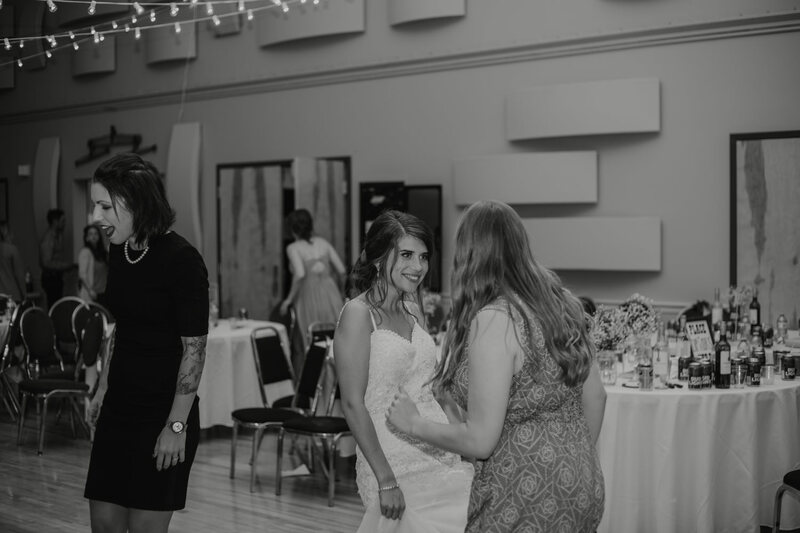 I found myself tearing up more than once, and busting a gut laughing with the two of them and their hilarious bridal party. 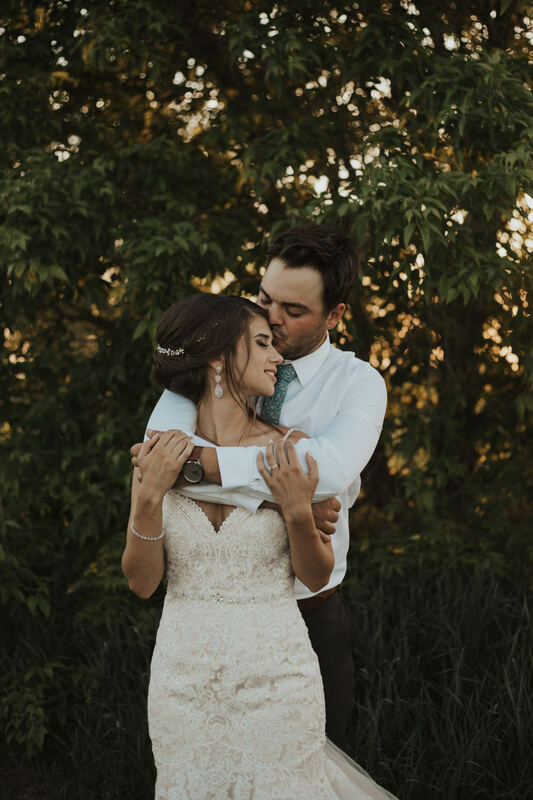 So much of their day represented who they are as a couple. 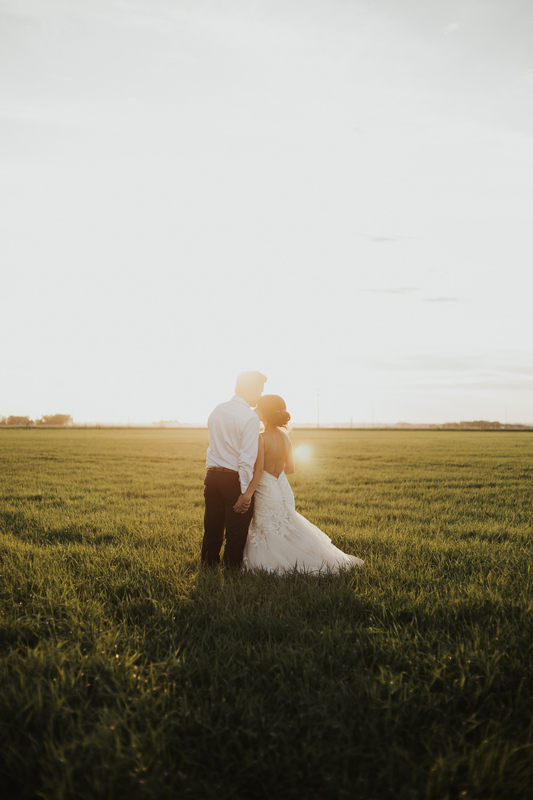 We snuck away after their first dance to catch some of the sunset, and the result was pure magic. 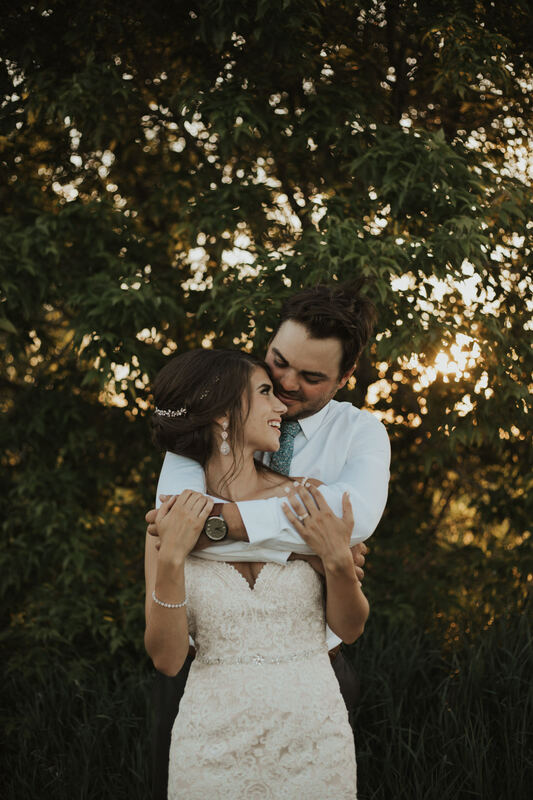 They are truly a beautiful couple inside and out. 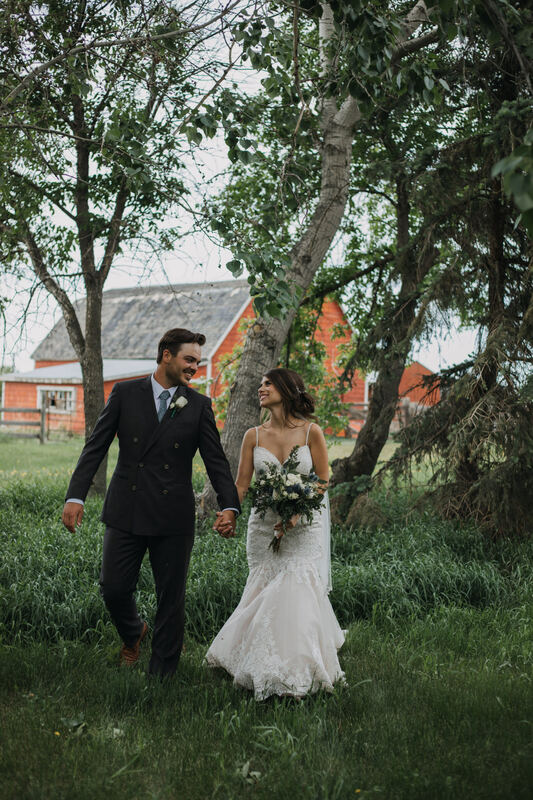 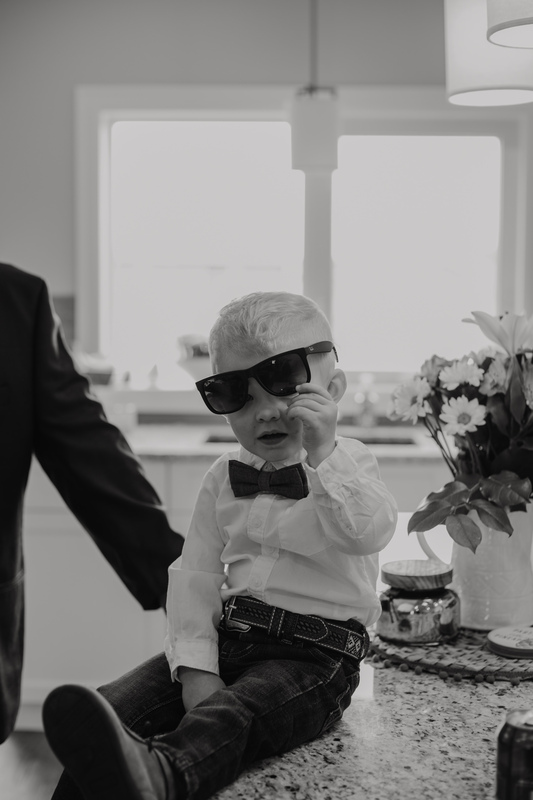 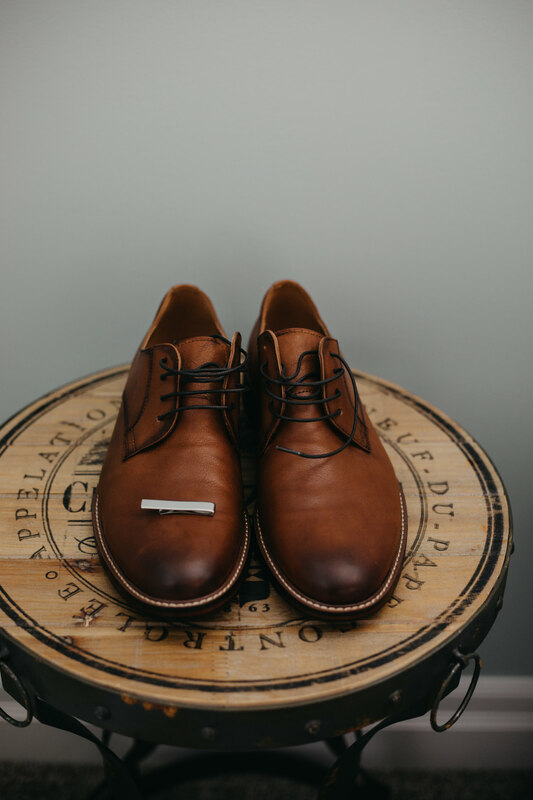 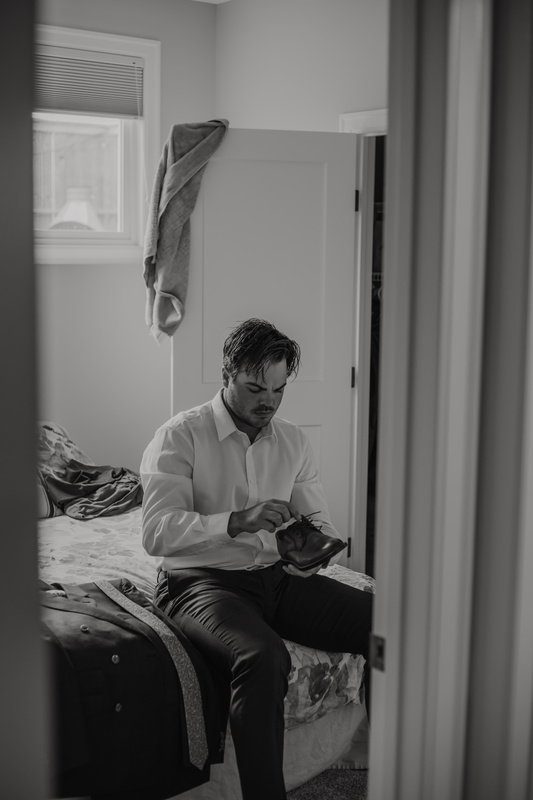 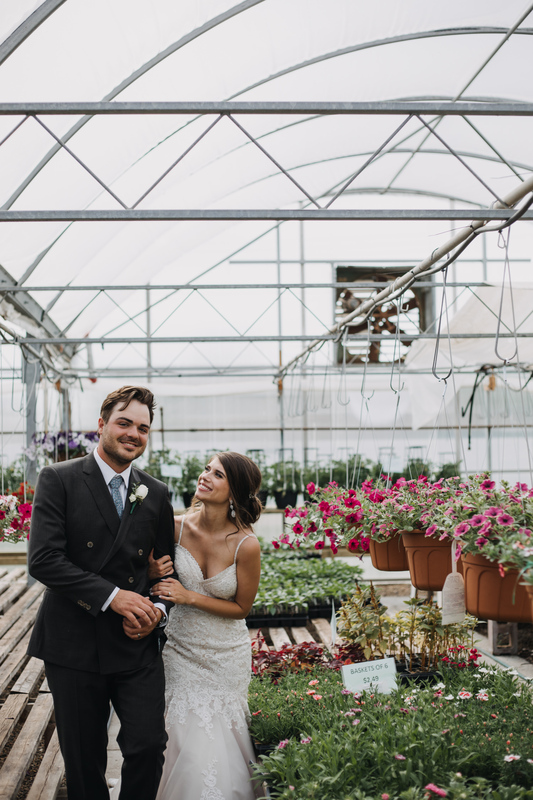 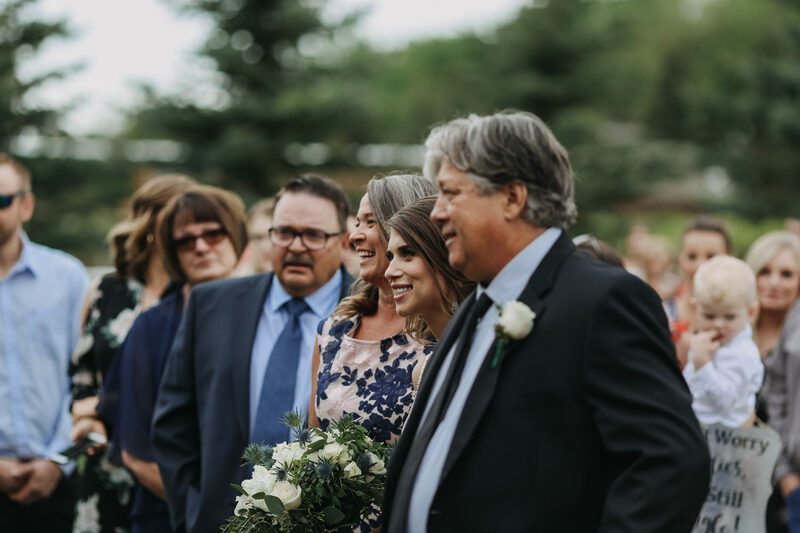 I also had the pleasure of shooting alongside Justin and Sam from YEG Wedding Video, as they captured video for Mason + Olivia’s wedding film. 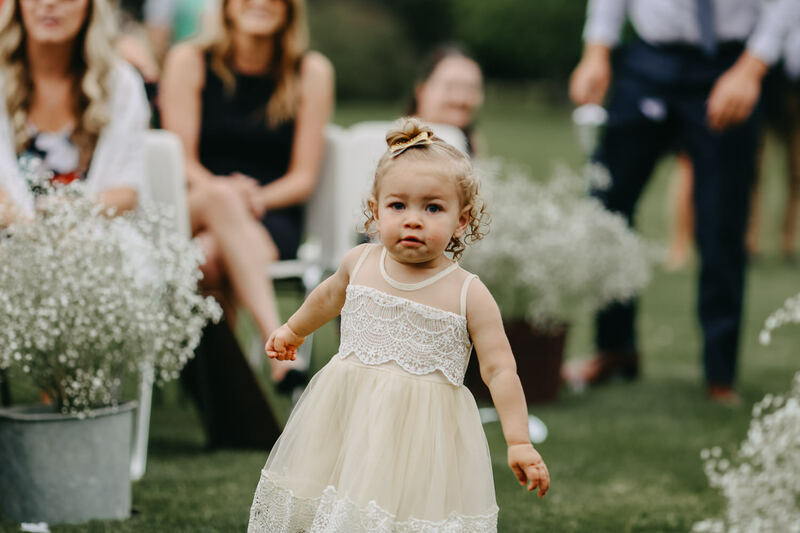 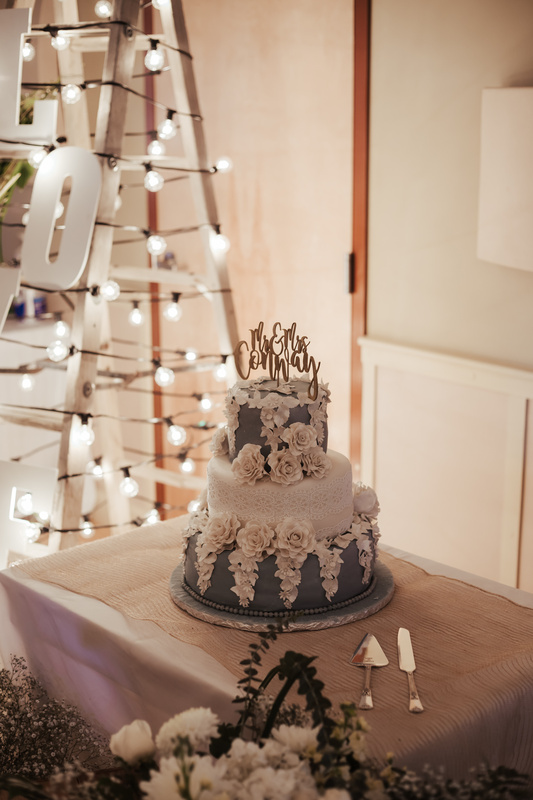 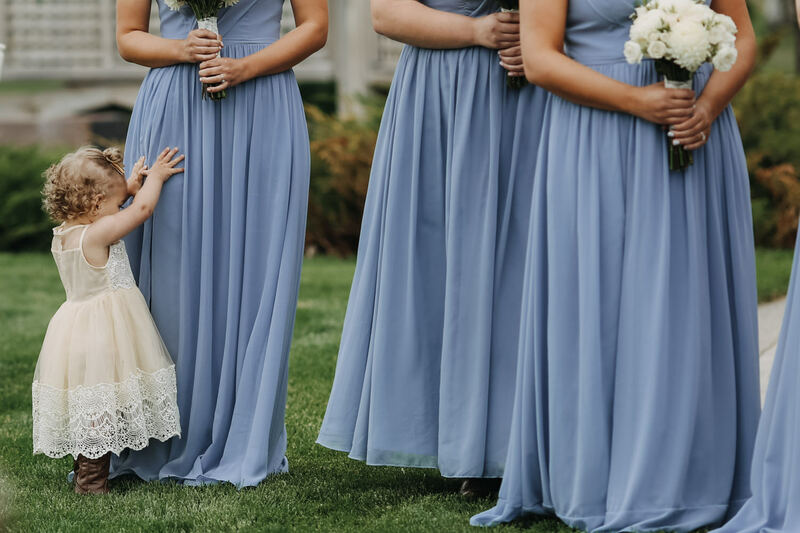 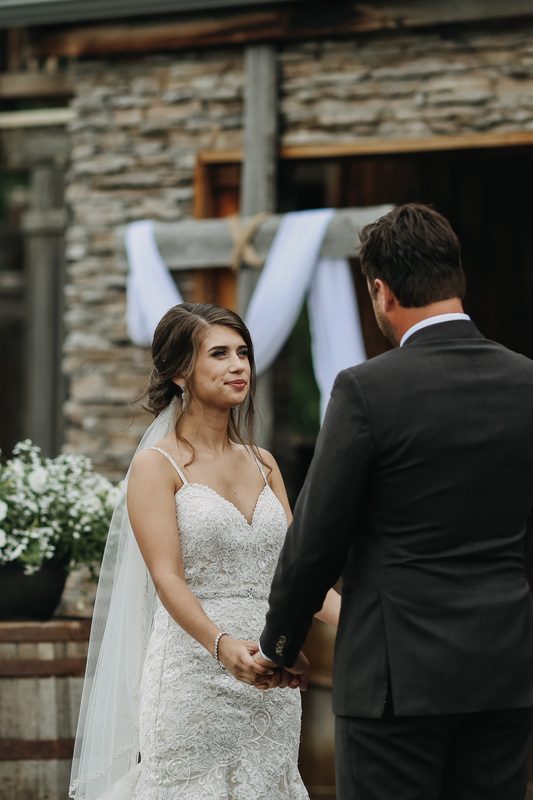 It was my first time working with videographers, and it was so much fun! 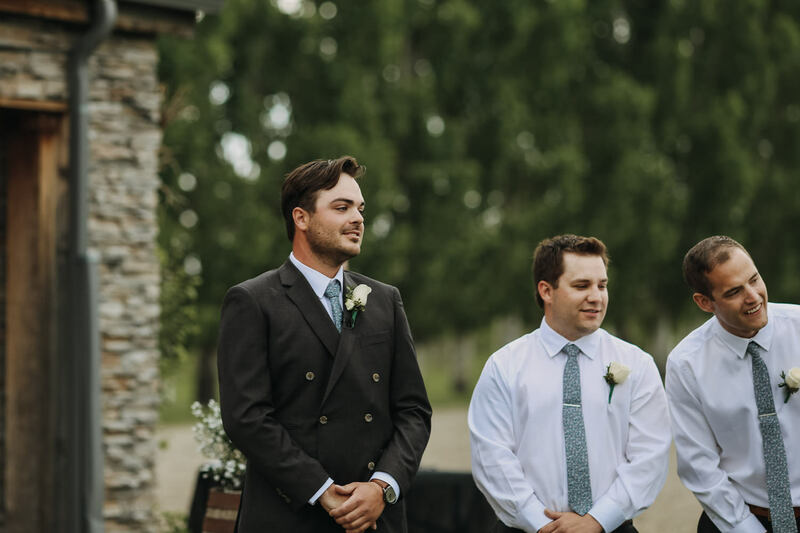 I seriously admire the work videographers do, and look forward to working with Justin and Sam, as well as others in the future. 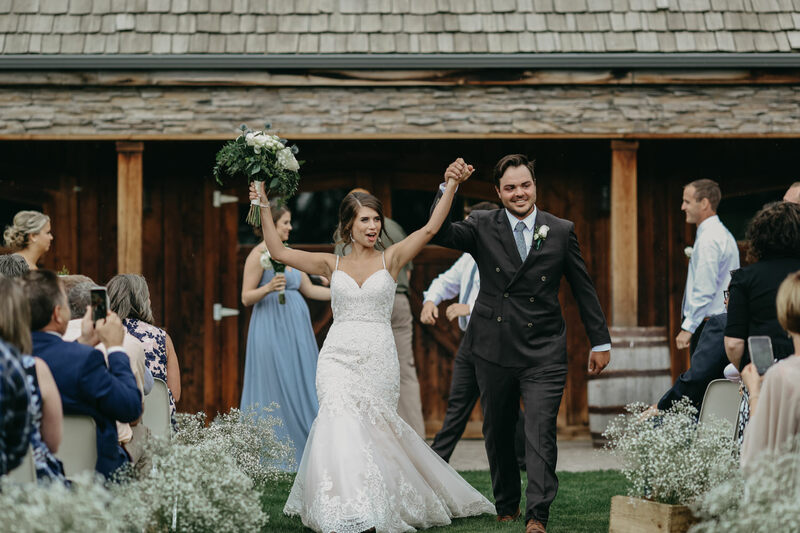 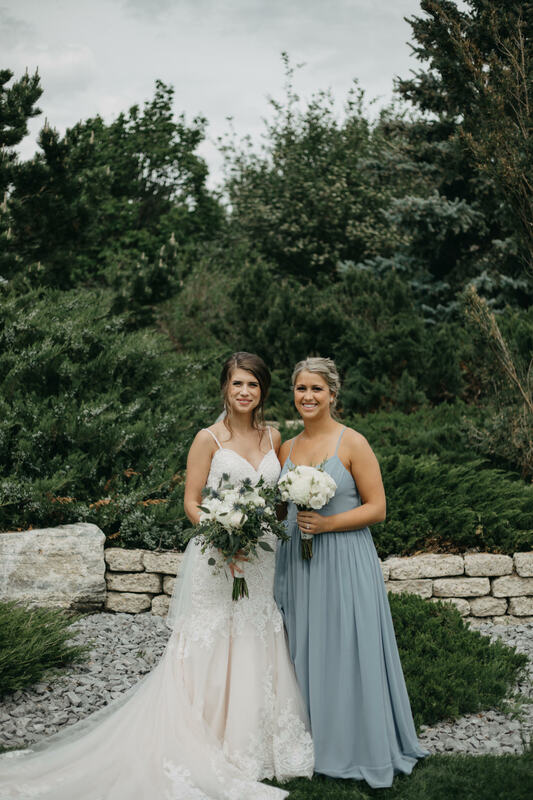 Congrats Mason + Olivia! 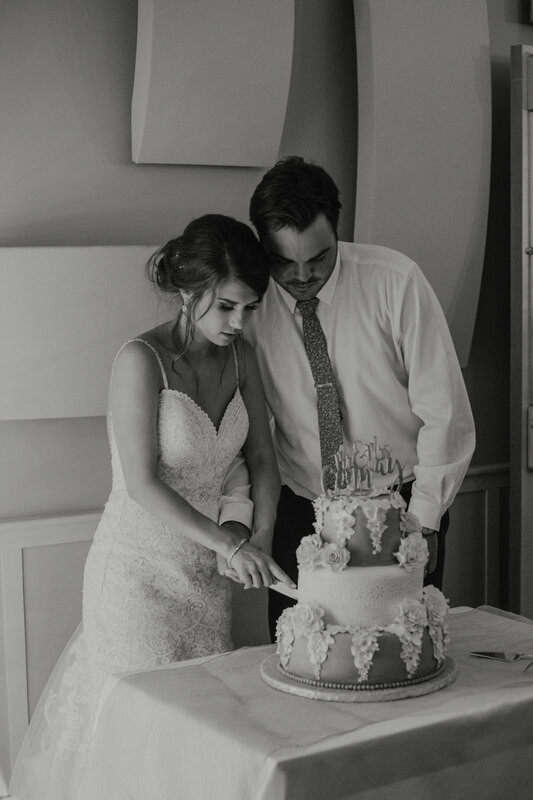 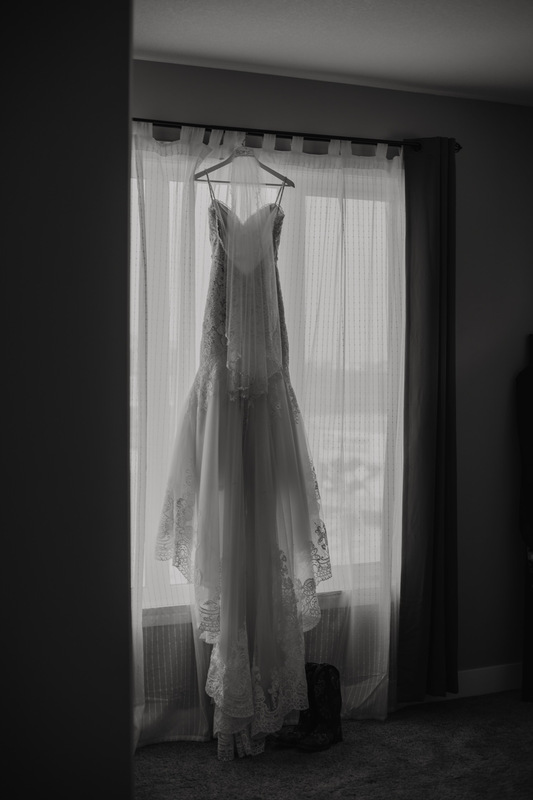 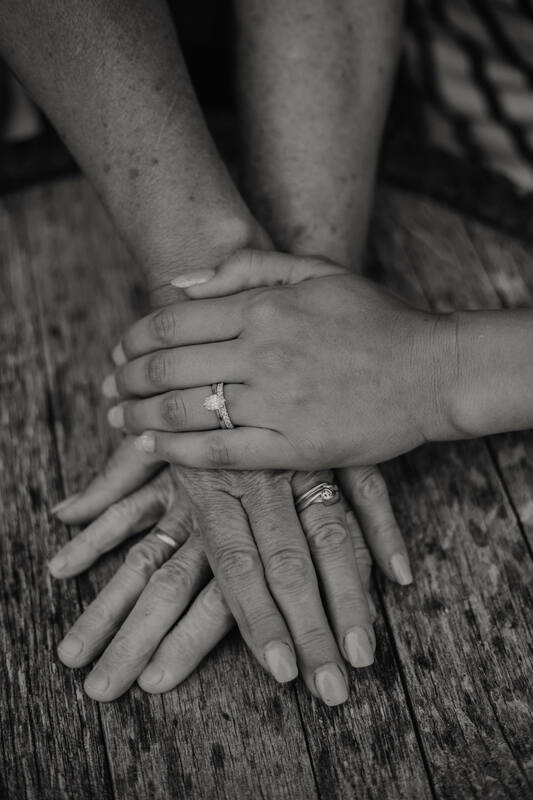 Thank you for trusting me to capture your special day!